Cutaway of Progress T resupply craft. Russian logistics spacecraft. Progress M was an upgraded version of the original Progress. New service module and rendezvous and docking systems were adopted from Soyuz T. Cargo satellite operated by RKK > RAKA, Russia. Launched 1989 - 2009. AKA: 11F615A55;7K-TGM;VBK Raduga. Status: Operational 1989. First Launch: 1989-08-23. Last Launch: 2015-10-01. Number: 106 . Thrust: 3.92 kN (881 lbf). Gross mass: 7,450 kg (16,420 lb). Unfuelled mass: 6,550 kg (14,440 lb). Specific impulse: 305 s. Height: 7.23 m (23.72 ft). Span: 10.60 m (34.70 ft). In 2008 the Progress M began flying with the new TsVM-101 computer in place of the old Argon-16. The TsVM-101 was much more capable, much smaller, and 9 times lighter (8.3 kg vs. 70 kg). In connection with this the analogue telemetry system was replaced by a smaller digital system. This modifications was originally planned in the late 1990's, but shelved for financial reasons. However the NII Argon design bureau discontinued production of the old computer, forcing RKK Energia to fund development of the TsVM-101 at NII Submikron in Tselinograd. Progress-M's equipped with the new computers received the new article number 11F615A60 with a new serial number series beginning with 401. The computers were installed in the service module. Orbital Storage: 180 days. Electric System: 0.60 average kW. Family: Logistics spacecraft, Space station orbit. Country: Russia. Engines: KTDU-80. Spacecraft: ISS, Mir, Progress M OKD, Progress M GO, Progress M PAO, Progress M VBK. Launch Vehicles: R-7, Soyuz-U, Soyuz-U2, Soyuz-U-PVB, Soyuz-2-1A. Propellants: N2O4/UDMH. Launch Sites: Baikonur, Baikonur LC1, Baikonur LC31. Agency: Korolev bureau, RAKA. Bibliography: 2, 21, 275, 276, 279, 296, 32, 552, 554, 6, 12981, 12982, 12983. Drawing of the advanced version of the Progress resupply spacecraft used with Mir. Progress return capsule. Diagram illustrates separation from Progress during deorbit burn and recovery sequence. 1989 August 23 - . 03:09 GMT - . Launch Site: Baikonur. Launch Complex: Baikonur LC1. LV Family: R-7. Launch Vehicle: Soyuz-U2. Progress M-1 - . Payload: Progress M s/n 201. Mass: 7,270 kg (16,020 lb). Nation: Russia. Agency: MOM. Program: Mir. Class: Manned. Type: Manned logistics spacecraft. Flight: Soyuz TM-8. Spacecraft Bus: Soyuz. Spacecraft: Progress M. Duration: 100.34 days. Completed Operations Date: 1989-12-01 11:21:28 . Decay Date: 1989-12-01 11:21:28 . USAF Sat Cat: 20191 . COSPAR: 1989-066A. Apogee: 217 km (134 mi). Perigee: 187 km (116 mi). Inclination: 51.60 deg. Period: 88.50 min. Unmanned supply vehicle to Mir; first flight of new vehicle design. Tested on-board systems under different conditions and delivered expendable materials and sundry cargo to the Mir manned space station. Docked with Mir on 25 Aug 1989 05:19:02 GMT. Undocked on 1 Dec 1989 09:02:23 GMT. Destroyed in reentry on 1 Dec 1989 11:21:00 GMT. Total free-flight time 2.19 days. Total docked time 98.16 days. 1989 December 20 - . 03:30 GMT - . Launch Site: Baikonur. Launch Complex: Baikonur LC1. LV Family: R-7. Launch Vehicle: Soyuz-U2. Progress M-2 - . Payload: Progress M s/n 202. Mass: 7,300 kg (16,000 lb). Nation: Russia. Agency: MOM. Program: Mir. Class: Manned. Type: Manned logistics spacecraft. Flight: Soyuz TM-8. Spacecraft Bus: Soyuz. Spacecraft: Progress M. Duration: 51.18 days. Completed Operations Date: 1990-02-09 07:56:10 . Decay Date: 1990-02-09 07:56:10 . USAF Sat Cat: 20373 . COSPAR: 1989-099A. Apogee: 392 km (243 mi). Perigee: 390 km (240 mi). Inclination: 51.60 deg. Period: 92.40 min. 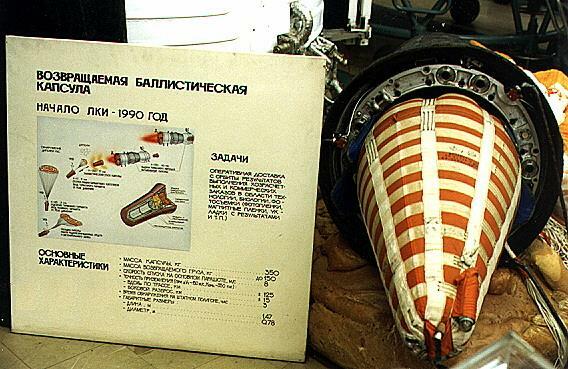 Unmanned resupply vessel to Mir; carried US microgravity payload. Delivered various cargoes to the Mir orbital station, including scientific apparatus produced in the United States of America and intended, pursuant to a commercial agreement, for the conduct of experiments on space biotechnology. Docked with Mir on 22 Dec 1989 05:41:21 GMT. Undocked on 9 Feb 1990 02:33:07 GMT. Destroyed in reentry on 9 Feb 1990 07:56:00 GMT. Total free-flight time 2.31 days. Total docked time 48.87 days. 1990 February 28 - . 23:10 GMT - . Launch Site: Baikonur. Launch Complex: Baikonur LC1. LV Family: R-7. Launch Vehicle: Soyuz-U2. Progress M-3 - . Payload: Progress M s/n 203. Mass: 7,249 kg (15,981 lb). Nation: Russia. Agency: MOM. Program: Mir. Class: Manned. Type: Manned logistics spacecraft. Flight: Soyuz TM-9. Spacecraft Bus: Soyuz. Spacecraft: Progress M. Duration: 58.07 days. Completed Operations Date: 1990-04-29 00:52:03 . Decay Date: 1990-04-29 00:52:03 . USAF Sat Cat: 20513 . COSPAR: 1990-020A. Apogee: 218 km (135 mi). Perigee: 183 km (113 mi). Inclination: 51.60 deg. Period: 88.50 min. Unmanned resupply vessel to Mir. Docked with Mir on 3 Mar 1990 01:04:32 GMT. Undocked on 27 Apr 1990 20:24:43 GMT. Destroyed in reentry on 28 Apr 1990 00:52:00 GMT. Total free-flight time 2.26 days. Total docked time 55.81 days..
1990 August 15 - . 04:00 GMT - . Launch Site: Baikonur. Launch Complex: Baikonur LC1. LV Family: R-7. 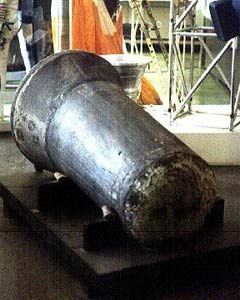 Launch Vehicle: Soyuz-U2. Progress M-4 - . Payload: Progress M s/n 204. Mass: 7,294 kg (16,080 lb). Nation: Russia. Agency: MOM. Program: Mir. Class: Manned. Type: Manned logistics spacecraft. Flight: Soyuz TM-10. Spacecraft Bus: Soyuz. Spacecraft: Progress M. Duration: 36.32 days. Completed Operations Date: 1990-09-20 11:43:08 . Decay Date: 1990-09-20 11:43:08 . USAF Sat Cat: 20752 . COSPAR: 1990-072A. Apogee: 219 km (136 mi). Perigee: 184 km (114 mi). Inclination: 51.60 deg. Period: 88.50 min. Unmanned resupply vessel to Mir. Delivered cables for rewiring operations and equipment for Soyuz TM-11 Japanese journalist flight. Docked with Mir on 17 Aug 1990 05:26:13 GMT. Undocked on 17 Sep 1990 12:42:43 GMT. Destroyed in reentry on 20 Sep 1990 11:42:49 GMT. Total free-flight time 5.02 days. Total docked time 31.30 days. 1990 September 27 - . 10:37 GMT - . Launch Site: Baikonur. Launch Complex: Baikonur LC1. LV Family: R-7. Launch Vehicle: Soyuz-U2. Progress M-5 - . Payload: Progress M s/n 206. Mass: 7,320 kg (16,130 lb). Nation: Russia. Agency: MOM. Program: Mir. Class: Manned. Type: Manned logistics spacecraft. Flight: Soyuz TM-10. Spacecraft Bus: Soyuz. Spacecraft: Progress M. Duration: 62.02 days. Completed Operations Date: 1990-11-28 10:59:23 . Decay Date: 1990-11-28 10:59:23 . USAF Sat Cat: 20824 . COSPAR: 1990-085A. Apogee: 229 km (142 mi). Perigee: 186 km (115 mi). Inclination: 51.60 deg. Period: 88.70 min. Unmanned resupply vessel to Mir. Included first Progress recoverable capsule for return of 150 kg of payload to earth. Docked with Mir on 29 Sep 1990 12:26:50 GMT. Undocked on 28 Nov 1990 06:15:46 GMT. After deorbit burn, capsule separated for reentry with an expected landing in Kazakhstan at 28 Nov 1990 11:04:05 GMT. However the recoverable capsule's beacon signal was never received after reentry. All experimental data and materials in capsule lost. Total free-flight time 2.28 days. Total docked time 59.74 days. VBK Raduga - . Mass: 7,450 kg (16,420 lb). Nation: Russia. Agency: UNKS. Program: Mir. Flight: Soyuz TM-10. Spacecraft Bus: Soyuz. Spacecraft: Progress M. Decay Date: 1990-11-28 . USAF Sat Cat: 20824 . COSPAR: 1990-085xx. Apogee: 406 km (252 mi). Perigee: 361 km (224 mi). Inclination: 51.60 deg. Period: 92.20 min. 1991 January 14 - . 14:50 GMT - . Launch Site: Baikonur. Launch Complex: Baikonur LC1. LV Family: R-7. Launch Vehicle: Soyuz-U2. Progress M-6 - . Payload: Progress M s/n 205. Mass: 7,125 kg (15,707 lb). Nation: Russia. Agency: MOM. Program: Mir. Class: Manned. Type: Manned logistics spacecraft. Flight: Soyuz TM-11. Spacecraft Bus: Soyuz. Spacecraft: Progress M. Duration: 60.14 days. Completed Operations Date: 1991-03-15 18:06:59 . Decay Date: 1991-03-15 18:06:59 . USAF Sat Cat: 21053 . COSPAR: 1991-002A. Apogee: 205 km (127 mi). Perigee: 188 km (116 mi). Inclination: 51.60 deg. Period: 88.40 min. Unmanned resupply vessel to Mir. Delivered new life support equipment to replace life-expired equipment aboard. Docked with Mir on 16 Jan 1991 16:35:25 GMT. Undocked on 15 Mar 1991 12:46:41 GMT. Destroyed in reentry on 15 Mar 1991 18:07:26 GMT. Total free-flight time 2.30 days. Total docked time 57.84 days. 1991 March 19 - . 13:05 GMT - . Launch Site: Baikonur. Launch Complex: Baikonur LC1. LV Family: R-7. Launch Vehicle: Soyuz-U2. Progress M-7 - . Payload: Progress M s/n 208. Mass: 7,307 kg (16,109 lb). Nation: Russia. Agency: MOM. Program: Mir. Class: Manned. Type: Manned logistics spacecraft. Flight: Soyuz TM-11. Spacecraft Bus: Soyuz. Spacecraft: Progress M. Duration: 49.18 days. Completed Operations Date: 1991-05-07 17:21:50 . Decay Date: 1991-05-07 17:21:50 . USAF Sat Cat: 21188 . COSPAR: 1991-020A. Apogee: 213 km (132 mi). Perigee: 186 km (115 mi). Inclination: 51.60 deg. Period: 88.50 min. Unmanned resupply vessel to Mir. Attempted to dock with Mir on 21 March 1998 14:28 GMT, but missed the station by 500 m. Docking attempted again on 23 March but at 50 meters the docking was aborted; the Progress missed hitting the station by five meters. 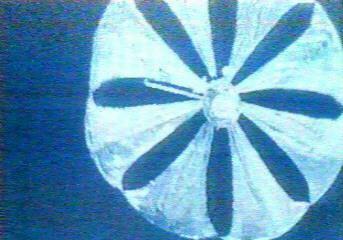 Thereafter it was placed in a station-keeping co-orbit with Mir while the problem was diagnosed. Finally docked with Mir on 28 Mar 1991 12:02:28 GMT. 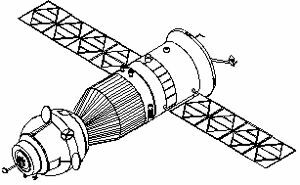 On 12 and 14 Apr 1998 two burns of the engine of Progress M-7 raised the station's orbit from a 360 x 377 km orbit to a 370 x 382 km orbit. Undocked on 6 May 1991 22:59:36 GMT. Destroyed in reentry on 7 May 1991 17:20:05 GMT. Total free-flight time 9.72 days. Total docked time 39.46 days. VBK Raduga - . Mass: 7,450 kg (16,420 lb). Nation: Russia. Agency: UNKS. Program: Mir. Flight: Soyuz TM-11. Spacecraft Bus: Soyuz. Spacecraft: Progress M. COSPAR: 1991-020xx. 1991 May 30 - . 08:04 GMT - . Launch Site: Baikonur. Launch Complex: Baikonur LC1. LV Family: R-7. Launch Vehicle: Soyuz-U2. Progress M-8 - . Payload: Progress M s/n 207. Mass: 7,296 kg (16,084 lb). Nation: Russia. Agency: MOM. Program: Mir. Class: Manned. Type: Manned logistics spacecraft. Flight: Soyuz TM-12, Soyuz TM-12 Mir LD-3. Spacecraft Bus: Soyuz. Spacecraft: Progress M. Duration: 77.95 days. Completed Operations Date: 1991-08-16 07:02:29 . Decay Date: 1991-08-16 07:02:29 . USAF Sat Cat: 21395 . COSPAR: 1991-038A. Apogee: 396 km (246 mi). Perigee: 390 km (240 mi). Inclination: 51.60 deg. Period: 92.40 min. Unmanned resupply vessel to Mir. Docked with Mir on 1 Jun 1991 09:44:37 GMT. Undocked on 15 Aug 1991 22:16:59 GMT. Destroyed in reentry on 16 Aug 1991 06:56:32 GMT. Total free-flight time 2.43 days. Total docked time 75.52 days..
1991 August 20 - . 22:54 GMT - . Launch Site: Baikonur. Launch Complex: Baikonur LC1. LV Family: R-7. Launch Vehicle: Soyuz-U2. Progress M-9 - . Payload: Progress M s/n 210. Mass: 7,311 kg (16,117 lb). Nation: Russia. Agency: MOM. Program: Mir. Class: Manned. Type: Manned logistics spacecraft. Flight: Soyuz TM-12, Soyuz TM-12 Mir LD-3. Spacecraft Bus: Soyuz. Spacecraft: Progress M. Duration: 40.39 days. Completed Operations Date: 1991-10-01 08:24:38 . Decay Date: 1991-10-01 08:24:38 . USAF Sat Cat: 21662 . COSPAR: 1991-057A. Apogee: 230 km (140 mi). Perigee: 186 km (115 mi). Inclination: 51.60 deg. Period: 88.70 min. Unmanned resupply vessel to Mir; carried reentry capsule for return of 150 kg of experiment results. Docked with Mir on 23 Aug 1991 00:54:17 GMT. Undocked on 30 Sep 1991 01:53:00 GMT. 350 kg return capsule detached from the Propess' orbital module at an altitude of 110 to 130 km. 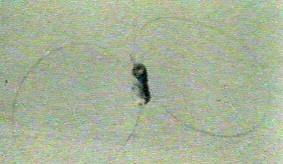 The capsule underwent a ballistic descent to 15 km, followed by a parachute descent from there to surface. The capsule's beacon began transmitting at 4.5 km. Landed in Kazakhstan on 30 Sep 1991 08:16:24 GMT. Total free-flight time 2.35 days. Total docked time 38.04 days. VBK Raduga - . Mass: 7,450 kg (16,420 lb). Nation: Russia. Agency: UNKS. Program: Mir. Flight: Soyuz TM-12, Soyuz TM-12 Mir LD-3. Spacecraft Bus: Soyuz. Spacecraft: Progress M. COSPAR: 1991-057xx. 1991 October 17 - . 00:05 GMT - . Launch Site: Baikonur. Launch Complex: Baikonur LC1. LV Family: R-7. Launch Vehicle: Soyuz-U2. Progress M-10 - . Payload: Progress M s/n 211. Mass: 7,306 kg (16,106 lb). Nation: Russia. Agency: MOM. Program: Mir. Class: Manned. Type: Manned logistics spacecraft. Flight: Soyuz TM-12 Mir LD-3, Soyuz TM-13. Spacecraft Bus: Soyuz. Spacecraft: Progress M. Duration: 95.50 days. Completed Operations Date: 1992-01-20 12:03:05 . Decay Date: 1992-01-20 12:03:05 . USAF Sat Cat: 21746 . COSPAR: 1991-073A. Apogee: 217 km (134 mi). Perigee: 185 km (114 mi). Inclination: 51.70 deg. Period: 88.50 min. Unmanned resupply vessel to Mir. First attempted to dock with Mir on 19 October 1991. The docking was automatically aborted at a distance of 150 m from the station. Successfully docked with the forward port of Mir on on 21 Oct 1991 03:40:50 GMT. Unloading began next day. Undocked on 20 Jan 1992 07:13:44 GMT. Destroyed in reentry on 20 Jan 1992 12:03:30 GMT. Total free-flight time 4.35 days. Total docked time 91.15 days. VBK Raduga - . Mass: 7,450 kg (16,420 lb). Nation: Russia. Agency: UNKS. Program: Mir. Flight: Soyuz TM-12 Mir LD-3, Soyuz TM-13. Spacecraft Bus: Soyuz. Spacecraft: Progress M. Decay Date: 1992-01-20 . USAF Sat Cat: 21746 . COSPAR: 1991-073xx. Apogee: 378 km (234 mi). Perigee: 376 km (233 mi). Inclination: 51.60 deg. Period: 92.10 min. 1992 January 25 - . 07:50 GMT - . Launch Site: Baikonur. Launch Complex: Baikonur LC1. LV Family: R-7. Launch Vehicle: Soyuz-U2. Progress M-11 - . Payload: Progress M s/n 212. Mass: 7,320 kg (16,130 lb). Nation: Russia. Agency: MOM. Program: Mir. Class: Manned. Type: Manned logistics spacecraft. Flight: Soyuz TM-12 Mir LD-3, Soyuz TM-13. Spacecraft Bus: Soyuz. Spacecraft: Progress M. Duration: 48.33 days. Completed Operations Date: 1992-03-13 13:13:31 . Decay Date: 1992-03-13 13:13:31 . USAF Sat Cat: 21851 . COSPAR: 1992-004A. Apogee: 227 km (141 mi). Perigee: 185 km (114 mi). Inclination: 51.60 deg. Period: 88.60 min. Unmanned resupply vessel to Mir. Docked with Mir on 27 Jan 1992 09:30:43 GMT. Undocked on 13 Mar 1992 08:43:40 GMT. Destroyed in reentry on 13 Mar 1992 15:47:00 GMT. Total free-flight time 2.36 days. Total docked time 45.97 days..
1992 August 15 - . 22:18 GMT - . Launch Site: Baikonur. Launch Complex: Baikonur LC31. LV Family: R-7. Launch Vehicle: Soyuz-U2. Progress M-14 - . Payload: Progress M s/n 209. Mass: 7,176 kg (15,820 lb). Nation: Russia. Agency: MOM. Program: Mir. Class: Manned. Type: Manned logistics spacecraft. Flight: Soyuz TM-15. Spacecraft Bus: Soyuz. Spacecraft: Progress M. Duration: 67.04 days. Completed Operations Date: 1992-10-22 23:12:40 . Decay Date: 1992-10-22 23:12:40 . USAF Sat Cat: 22090 . COSPAR: 1992-055A. Apogee: 221 km (137 mi). Perigee: 187 km (116 mi). Inclination: 51.50 deg. Period: 88.60 min. Unmanned resupply vessel to Mir. Progress M-38 was specially modified to carry the first VDU (Vynosnaya Dvigatel'naya Ustanovka, External Engine Unit) propulsion unit. The VDU was mounted externally on a special structure between the cargo module and the service module, replacing the OKD fuel section present on normal Progress vehicles. The crew spacewalked to extract the VDU from Progress and place it on the end of the Sofora boom extending from the Kvant module. The VDU was used to provide attitude control capability for the Mir station. Docked with Mir on 18 Aug 1992 00:20:48 GMT. Undocked on 21 Oct 1992 16:46:01 GMT. Destroyed in reentry on 21 Oct 1992 23:12:00 GMT. Total free-flight time 2.35 days. Total docked time 64.68 days. VBK Raduga - . Mass: 7,450 kg (16,420 lb). Nation: Russia. Agency: VKS. Program: Mir. Flight: Soyuz TM-15. Spacecraft Bus: Soyuz. Spacecraft: Progress M. COSPAR: 1992-055xx. 1992 October 27 - . 17:19 GMT - . Launch Site: Baikonur. Launch Complex: Baikonur LC31. LV Family: R-7. Launch Vehicle: Soyuz-U2. Progress M-15 - . Payload: Progress M s/n 215. Mass: 7,250 kg (15,980 lb). Nation: Russia. Agency: MOM. Program: Mir. Class: Manned. Type: Manned logistics spacecraft. Flight: Soyuz TM-15. Spacecraft Bus: Soyuz. Spacecraft: Progress M. Duration: 102.56 days. Completed Operations Date: 1993-02-07 06:54:51 . Decay Date: 1993-02-07 06:54:51 . USAF Sat Cat: 22203 . COSPAR: 1992-071A. Apogee: 205 km (127 mi). Perigee: 187 km (116 mi). Inclination: 51.60 deg. Period: 88.40 min. Unmanned resupply vessel to Mir. Docked with Mir on 29 Oct 1992 19:05:51 GMT. Undocked on 4 Feb 1993 00:44:53 GMT. 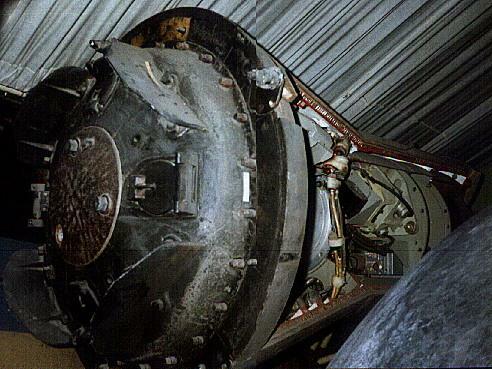 After completion of the Znamya and autonomous operation experiments, destroyed in reentry on 7 Feb 1993 06:43:20 GMT. Total free-flight time 5.32 days. Total docked time 97.24 days. 1993 February 21 - . 18:32 GMT - . Launch Site: Baikonur. Launch Complex: Baikonur LC1. LV Family: R-7. Launch Vehicle: Soyuz-U2. Progress M-16 - . Payload: Progress M s/n 216. Mass: 7,338 kg (16,177 lb). Nation: Russia. Agency: MOM. Program: Mir. Class: Manned. Type: Manned logistics spacecraft. Flight: Soyuz TM-16. Spacecraft Bus: Soyuz. Spacecraft: Progress M. Duration: 33.65 days. Completed Operations Date: 1993-03-27 10:05:12 . Decay Date: 1993-03-27 10:05:12 . USAF Sat Cat: 22530 . COSPAR: 1993-012A. Apogee: 234 km (145 mi). Perigee: 189 km (117 mi). Inclination: 51.70 deg. Period: 88.70 min. Unmanned resupply vessel to Mir. Docked with Mir on 23 Feb 1993 20:17:57 GMT. Undocked on 26 Mar 1993 06:50:00 GMT. Redocked with Mir on 1993-03-26 07:06:03 GMT. Final undocking on 1993-03-27 04:21:00 GMT. Destroyed in reentry on 27 Mar 1993 10:25:00 GMT. Total free-flight time 2.33 days. Total docked time 31.32 days. 1993 March 31 - . 03:34 GMT - . Launch Site: Baikonur. Launch Complex: Baikonur LC1. LV Family: R-7. Launch Vehicle: Soyuz-U2. Progress M-17 - . Payload: Progress M s/n 217. Mass: 7,250 kg (15,980 lb). Nation: Russia. Agency: MOM. Program: Mir. Class: Manned. Type: Manned logistics spacecraft. Flight: Soyuz TM-16. Spacecraft Bus: Soyuz. Spacecraft: Progress M. Duration: 337.00 days. Completed Operations Date: 1994-03-03 03:29:47 . Decay Date: 1994-03-03 03:29:47 . USAF Sat Cat: 22588 . COSPAR: 1993-019A. Apogee: 365 km (226 mi). Perigee: 362 km (224 mi). Inclination: 51.60 deg. Period: 91.80 min. Unmanned resupply vessel to Mir. Conducted docked and undocked longevity spacecraft longevity tests. Docked with Mir on 1 Apr 1993 05:16:18 GMT. Undocked on 11 Aug 1993 15:36:42 GMT. Destroyed in reentry over the South Atlantic on 3 Mar 1994 03:28:00 GMT. Total free-flight time 204.56 days. Total docked time 132.43 days. 1993 May 22 - . 06:41 GMT - . Launch Site: Baikonur. Launch Complex: Baikonur LC1. LV Family: R-7. Launch Vehicle: Soyuz-U2. Progress M-18 - . Payload: Progress M s/n 218. Mass: 7,348 kg (16,199 lb). Nation: Russia. Agency: MOM. Program: Mir. Class: Manned. Type: Manned logistics spacecraft. Flight: Soyuz TM-16. Spacecraft Bus: Soyuz. Spacecraft: Progress M. Duration: 43.44 days. Completed Operations Date: 1993-07-04 17:14:25 . Decay Date: 1993-07-04 17:14:25 . USAF Sat Cat: 22666 . COSPAR: 1993-034A. Apogee: 240 km (140 mi). Perigee: 188 km (116 mi). Inclination: 51.60 deg. Period: 88.80 min. Unmanned resupply vessel to Mir. Last launch using Soyuz-U2 launch vehicle. Docked with Mir's front port on 24 May 1993 08:24:44 GMT. In addition to other supplies, carried repair equipment for a spacewalk device damaged a month before. Undocked on 3 Jul 1993 15:58:16 GMT, with Soyuz TM-17 docking at the same port only minutes later at 17:45 GMT. Meanwhile, Progress M-17 remained docked to the Kvant rear port on a longevity test. Progress M-18 was destroyed in reentry on 4 Jul 1993 17:13:00 GMT. Total free-flight time 3.12 days. Total docked time 40.31 days. VBK Raduga - . Mass: 7,450 kg (16,420 lb). Nation: Russia. Agency: VKS. Program: Mir. Flight: Soyuz TM-16. Spacecraft Bus: Soyuz. Spacecraft: Progress M. COSPAR: 1993-034xx. 1993 August 10 - . 22:23 GMT - . Launch Site: Baikonur. Launch Complex: Baikonur LC1. LV Family: R-7. Launch Vehicle: Soyuz-U-PVB. Progress M-19 - . Payload: Progress M s/n 219. Mass: 7,250 kg (15,980 lb). Nation: Russia. Agency: MOM. Program: Mir. Class: Manned. Type: Manned logistics spacecraft. Flight: Soyuz TM-17. Spacecraft Bus: Soyuz. Spacecraft: Progress M. Duration: 69.08 days. Completed Operations Date: 1993-10-20 00:17:41 . Decay Date: 1993-10-20 00:17:41 . USAF Sat Cat: 22745 . COSPAR: 1993-052A. Apogee: 223 km (138 mi). Perigee: 179 km (111 mi). Inclination: 51.80 deg. Period: 88.50 min. Unmanned resupply vessel to Mir. Docked with Mir at the Kvant rear port on 13 Aug 1993 00:00:06 GMT. Undocked on 13 Oct 1993 17:59:06 GMT. Destroyed in reentry on 19 Oct 1993 00:22:14 GMT. Total free-flight time 7.33 days. Total docked time 61.75 days..
VBK Raduga - . Mass: 7,450 kg (16,420 lb). Nation: Russia. Agency: VKS. Program: Mir. Flight: Soyuz TM-17. Spacecraft Bus: Soyuz. Spacecraft: Progress M. COSPAR: 1993-052xx. 1993 October 11 - . 21:33 GMT - . Launch Site: Baikonur. Launch Complex: Baikonur LC1. LV Family: R-7. Launch Vehicle: Soyuz-U-PVB. Progress M-20 - . Payload: Progress M s/n 220. Mass: 7,250 kg (15,980 lb). Nation: Russia. Agency: MOM. Program: Mir. Class: Manned. Type: Manned logistics spacecraft. Flight: Soyuz TM-17. Spacecraft Bus: Soyuz. Spacecraft: Progress M. Duration: 40.48 days. Decay Date: 1993-11-21 . USAF Sat Cat: 22867 . COSPAR: 1993-064A. Apogee: 226 km (140 mi). Perigee: 187 km (116 mi). Inclination: 51.80 deg. Period: 88.60 min. Unmanned resupply vessel to Mir, carried a Raduga reentry capsule for return of experimental materials to earth. Docked with Mir on 13 Oct 1993 23:24:46 GMT. Undocked on 21 Nov 1993 02:38:43 GMT. Capsule landed in Kazakhstan on 21 Nov 1993 09:06:00 GMT. Total free-flight time 2.35 days. Total docked time 38.13 days. VBK Raduga - . Mass: 7,450 kg (16,420 lb). Nation: Russia. Agency: VKS. Program: Mir. Flight: Soyuz TM-17. Spacecraft Bus: Soyuz. Spacecraft: Progress M. COSPAR: 1993-064xx. 1994 January 28 - . 02:12 GMT - . Launch Site: Baikonur. Launch Complex: Baikonur LC1. LV Family: R-7. Launch Vehicle: Soyuz-U-PVB. Progress M-21 - . Payload: Progress M s/n 221. Mass: 7,130 kg (15,710 lb). Nation: Russia. Agency: MOM. Program: Mir. Class: Manned. Type: Manned logistics spacecraft. Flight: Soyuz TM-18, Soyuz TM-18 Mir LD-4. Spacecraft Bus: Soyuz. Spacecraft: Progress M. Duration: 54.13 days. Completed Operations Date: 1994-03-21 05:24:50 . Decay Date: 1994-03-21 05:24:50 . USAF Sat Cat: 22975 . COSPAR: 1994-005A. Apogee: 236 km (146 mi). Perigee: 194 km (120 mi). Inclination: 51.60 deg. Period: 88.50 min. Unmanned resupply vessel to Mir. Docked with Mir on 30 Jan 1994 03:56:13 GMT. Undocked on 23 Mar 1994 01:20:29 GMT. Destroyed in reentry on 23 Mar 1994 05:13:00 GMT. Total free-flight time 2.23 days. Total docked time 51.89 days..
1994 March 22 - . 04:54 GMT - . Launch Site: Baikonur. Launch Complex: Baikonur LC1. LV Family: R-7. Launch Vehicle: Soyuz-U-PVB. Progress M-22 - . Payload: Progress M s/n 222. Mass: 7,103 kg (15,659 lb). Nation: Russia. Agency: MOM. Program: Mir. Class: Manned. Type: Manned logistics spacecraft. Flight: Soyuz TM-18, Soyuz TM-18 Mir LD-4. Spacecraft Bus: Soyuz. Spacecraft: Progress M. Duration: 61.99 days. Completed Operations Date: 1994-05-23 04:48:12 . Decay Date: 1994-05-23 04:48:12 . USAF Sat Cat: 23035 . COSPAR: 1994-019A. Apogee: 335 km (208 mi). Perigee: 260 km (160 mi). Inclination: 51.70 deg. Period: 90.20 min. Unmanned resupply vessel to Mir. Launched into an initial 192 x 238 x 51.6 km orbit. Docked with Mir on 24 Mar 1994 06:39:37 GMT. Fired its engine around 15 May to raise the orbit of the Mir station from 381 x 400 km to 398 x 399 km. Undocked on 23 May 1994 00:58:38 GMT. Destroyed in reentry on 23 May 1994 04:40:00 GMT. Total free-flight time 2.23 days. Total docked time 59.76 days. 1994 May 22 - . 04:30 GMT - . Launch Site: Baikonur. Launch Complex: Baikonur LC1. LV Family: R-7. Launch Vehicle: Soyuz-U2. Progress M-23 - . Payload: Progress M s/n 223. Mass: 7,117 kg (15,690 lb). Nation: Russia. Agency: MOM. Program: Mir. Class: Manned. Type: Manned logistics spacecraft. Flight: Soyuz TM-18, Soyuz TM-18 Mir LD-4. Spacecraft Bus: Soyuz. Spacecraft: Progress M. Duration: 41.44 days. Decay Date: 1994-07-02 . USAF Sat Cat: 23114 . COSPAR: 1994-031A. Apogee: 399 km (247 mi). Perigee: 397 km (246 mi). Inclination: 51.60 deg. Period: 92.52 min. Unmanned resupply vessel to Mir, with Raduga return capsule. Docked with Mir on 24 May 1994 06:18:35 GMT. Undocked on 2 Jul 1994 08:46:49 GMT. The braking engine was ignited at 14:44 GMT, and the Raduga VBK reentry capsule was ejected at 14:55:45 GMT. The Progress burnt up in the atmosphere at 14:57 GMT. The Raduga deployed its parachute after reentry and landed on 2 Jul 1994 15:09:00 GMT at 51 deg 41 min N, 59 deg 21 min E, in the Orenburg region. Total free-flight time 2.34 days. Total docked time 39.10 days. VBK Raduga - . Mass: 7,450 kg (16,420 lb). Nation: Russia. Agency: VKS. Program: Mir. Flight: Soyuz TM-18, Soyuz TM-18 Mir LD-4. Spacecraft Bus: Soyuz. Spacecraft: Progress M. COSPAR: 1994-031xx. 1994 August 25 - . 14:25 GMT - . Launch Site: Baikonur. Launch Complex: Baikonur LC1. LV Family: R-7. Launch Vehicle: Soyuz-U-PVB. Progress M-24 - . Payload: Progress M s/n 224. Mass: 7,250 kg (15,980 lb). Nation: Russia. Agency: MOM. Program: Mir. Class: Manned. Type: Manned logistics spacecraft. Flight: Soyuz TM-18 Mir LD-4, Soyuz TM-19. Spacecraft Bus: Soyuz. Spacecraft: Progress M. Duration: 40.35 days. Completed Operations Date: 1994-10-04 22:41:48 . Decay Date: 1994-10-04 22:41:48 . USAF Sat Cat: 23215 . COSPAR: 1994-052A. Apogee: 397 km (246 mi). Perigee: 394 km (244 mi). Inclination: 51.60 deg. Period: 92.47 min. Unmanned resupply vessel to Mir. Failed to dock with Mir on 27 Aug 1994. A second automatic docking attempt on 30 Aug 1994 also failed and the Progress collided with the Kvant module. A third and final attempt, manually controlled by Mir commander Yuriy Malenchenko, was successful on 2 Sep 1994 13:30:28 GMT. The Mir commander and flight engineer, Yuriy Malenchenko and Talgat Musabaev, made a spacewalk on 9 Sep 1994 to inspect the damage to the Kvant module made when the Progress collided with Kvant. Undocked on 4 Oct 1994 18:55:52 GMT, leaving the rear docking port free for Soyuz TM-20. Destroyed in reentry over the Pacific at 38.4 deg S, 137.4 deg W,on 4 Oct 1994 22:43:00 GMT. Total free-flight time 8.12 days. Total docked time 32.23 days. 1994 November 11 - . 07:21 GMT - . Launch Site: Baikonur. Launch Complex: Baikonur LC1. LV Family: R-7. Launch Vehicle: Soyuz-U-PVB. Progress M-25 - . Payload: Progress M s/n 225. Mass: 7,125 kg (15,707 lb). Nation: Russia. Agency: MOM. Program: Mir. Class: Manned. Type: Manned logistics spacecraft. Flight: Soyuz TM-18 Mir LD-4, Soyuz TM-20. Spacecraft Bus: Soyuz. Spacecraft: Progress M. Duration: 97.39 days. Decay Date: 1995-02-16 . USAF Sat Cat: 23348 . COSPAR: 1994-075A. Apogee: 394 km (244 mi). Perigee: 391 km (242 mi). Inclination: 51.60 deg. Period: 92.41 min. Unmanned resupply vessel to Mir. Docked with Mir on 13 Nov 1994 09:04:29 GMT. Undocked on 16 Feb 1995 13:03:00 GMT. Destroyed in reentry on 16 Feb 1995 16:45:00 GMT. Total free-flight time 2.23 days. Total docked time 95.17 days..
1995 February 15 - . 16:48 GMT - . Launch Site: Baikonur. Launch Complex: Baikonur LC1. LV Family: R-7. Launch Vehicle: Soyuz-U-PVB. Progress M-26 - . Payload: Progress M s/n 226. Mass: 7,139 kg (15,738 lb). Nation: Russia. Agency: MOM. Program: Mir. Class: Manned. Type: Manned logistics spacecraft. Flight: Soyuz TM-18 Mir LD-4, Soyuz TM-20. Spacecraft Bus: Soyuz. Spacecraft: Progress M. Duration: 27.56 days. Completed Operations Date: 1995-03-15 06:14:32 . Decay Date: 1995-03-15 06:14:32 . USAF Sat Cat: 23477 . COSPAR: 1995-005A. Apogee: 396 km (246 mi). Perigee: 391 km (242 mi). Inclination: 51.60 deg. Period: 92.40 min. Unmanned resupply vessel to Mir. Docked with Mir on 17 Feb 1995 18:21:34 GMT. Undocked on 15 Mar 1995 02:26:38 GMT. Destroyed in reentry over the Pacific Ocean on 15 Mar 1995 06:15:00 GMT. Total free-flight time 2.22 days. Total docked time 25.34 days..
1995 April 9 - . 19:34 GMT - . Launch Site: Baikonur. Launch Complex: Baikonur LC1. LV Family: R-7. Launch Vehicle: Soyuz-U-PVB. Progress M-27 - . Payload: Progress M s/n 227. Mass: 7,170 kg (15,800 lb). Nation: Russia. Agency: MOM. Program: Mir. Class: Manned. Type: Manned logistics spacecraft. Flight: Soyuz TM-21. Spacecraft Bus: Soyuz. Spacecraft: Progress M. Duration: 43.33 days. Completed Operations Date: 1995-05-23 03:27:40 . Decay Date: 1995-05-23 03:27:40 . USAF Sat Cat: 23555 . COSPAR: 1995-020A. Apogee: 399 km (247 mi). Perigee: 396 km (246 mi). Inclination: 51.60 deg. Period: 92.50 min. Unmanned resupply vessel to Mir; carried GFZ-1 German sub-satellite to Mir. Docked with Mir on 11 Apr 1995 21:00:44 GMT. Undocked on 22 May 1995 23:42:37 GMT. Destroyed in reentry on 23 May 1995 03:27:52 GMT. Total free-flight time 2.22 days. Total docked time 41.11 days. 1995 July 20 - . 03:04 GMT - . Launch Site: Baikonur. Launch Complex: Baikonur LC1. LV Family: R-7. Launch Vehicle: Soyuz-U-PVB. Progress M-28 - . Payload: Progress M s/n 228. Mass: 7,125 kg (15,707 lb). Nation: Russia. Agency: MOM. Program: Mir. Class: Manned. Type: Manned logistics spacecraft. Flight: STS-71 Mir EO-19. Spacecraft Bus: Soyuz. Spacecraft: Progress M. Duration: 46.25 days. Completed Operations Date: 1995-09-04 08:58:14 . Decay Date: 1995-09-04 08:58:14 . USAF Sat Cat: 23617 . COSPAR: 1995-036A. Apogee: 398 km (247 mi). Perigee: 393 km (244 mi). Inclination: 51.70 deg. Period: 92.50 min. Unmanned resupply vessel to Mir. Docked with Mir's front port on 22 Jul 1995 04:39:37 GMT. Undocked on 4 Sep 1995 05:09:53 GMT. Destroyed in reentry on 4 Sep 1995 08:58:55 GMT. Total free-flight time 2.22 days. Total docked time 44.02 days. Two Icons of Saint Anastasia were taken into space aboard the craft and transferred to the Mir station where they remained for about seven months. They were returned to earth, apparently aboard Soyuz TM-22, and later shown in diffent shrines around the world. 1995 October 8 - . 18:50 GMT - . Launch Site: Baikonur. Launch Complex: Baikonur LC1. LV Family: R-7. Launch Vehicle: Soyuz-U-PVB. Progress M-29 - . Payload: Progress M s/n 229. Mass: 7,122 kg (15,701 lb). Nation: Russia. Agency: MOM. Program: Mir. Class: Manned. Type: Manned logistics spacecraft. Flight: Soyuz TM-22. Spacecraft Bus: Soyuz. Spacecraft: Progress M. Duration: 71.89 days. Completed Operations Date: 1995-12-19 16:15:20 . Decay Date: 1995-12-19 16:15:20 . USAF Sat Cat: 23678 . COSPAR: 1995-053A. Apogee: 400 km (240 mi). Perigee: 391 km (242 mi). Inclination: 51.60 deg. Period: 92.50 min. Unmanned resupply vessel to Mir. Launched into an initial 194 x 242 km x 51.7 deg orbit. Docked with Mir's rear of the Kvant module port on 10 Oct 1995 20:32:40 GMT (Soyuz TM-22 was docked to the front port). Undocked on 19 Dec 1995 09:15:05 GMT. Destroyed in reentry on 19 Dec 1995 16:15:00 GMT. Total free-flight time 2.36 days. Total docked time 69.53 days. 1995 December 18 - . 14:31 GMT - . Launch Site: Baikonur. Launch Complex: Baikonur LC1. LV Family: R-7. Launch Vehicle: Soyuz-U-PVB. Progress M-30 - . Payload: Progress M s/n 230. Mass: 7,068 kg (15,582 lb). Nation: Russia. Agency: MOM. Program: Mir. Class: Manned. Type: Manned logistics spacecraft. Flight: Soyuz TM-22. Spacecraft Bus: Soyuz. Spacecraft: Progress M. Duration: 65.85 days. Decay Date: 1996-02-22 . USAF Sat Cat: 23744 . COSPAR: 1995-070A. Apogee: 409 km (254 mi). Perigee: 391 km (242 mi). Inclination: 51.70 deg. Period: 92.60 min. Unmanned resupply vessel to Mir. Docked with Mir on 20 Dec 1995 16:10:15 GMT. Undocked on 22 Feb 1996 07:30:02 GMT. Destroyed in reentry on 22 Feb 1996 11:02:36 GMT. Total free-flight time 2.22 days. Total docked time 63.64 days..
1996 May 5 - . 07:04 GMT - . Launch Site: Baikonur. Launch Complex: Baikonur LC1. LV Family: R-7. Launch Vehicle: Soyuz-U-PVB. Progress M-31 - . Payload: Progress M s/n 231. Mass: 7,140 kg (15,740 lb). Nation: Russia. Agency: MOM. Program: Mir. Class: Manned. Type: Manned logistics spacecraft. Flight: Soyuz TM-23, STS-76 Mir NASA-1. Spacecraft Bus: Soyuz. Spacecraft: Progress M. Duration: 88.56 days. Completed Operations Date: 1996-08-01 20:32:45 . Decay Date: 1996-08-01 20:32:45 . USAF Sat Cat: 23860 . COSPAR: 1996-028A. Apogee: 390 km (240 mi). Perigee: 376 km (233 mi). Inclination: 51.70 deg. Period: 92.20 min. Unmanned resupply vessel to Mir. Delivered 1,140 kg of fuel and 1,700 kg of cargo to the Mir complex. Docked with Mir on 7 May 1996 08:54:19 GMT. Undocked on 1 Aug 1996 16:44:54 GMT. Destroyed in reentry over the Pacific on 1 Aug 1996 20:33:03 GMT. Total free-flight time 2.23 days. Total docked time 86.33 days. 1996 July 31 - . 20:00 GMT - . Launch Site: Baikonur. Launch Complex: Baikonur LC1. LV Family: R-7. Launch Vehicle: Soyuz-U-PVB. Progress M-32 - . Payload: Progress M s/n 232. Mass: 7,130 kg (15,710 lb). Nation: Russia. Agency: MOM. Program: Mir. Class: Manned. Type: Manned logistics spacecraft. Flight: Soyuz TM-23, STS-76 Mir NASA-1. Spacecraft Bus: Soyuz. Spacecraft: Progress M. Duration: 96.11 days. Completed Operations Date: 1996-11-04 22:47:04 . Decay Date: 1996-11-04 22:47:04 . USAF Sat Cat: 24071 . COSPAR: 1996-043A. Apogee: 390 km (240 mi). Perigee: 371 km (230 mi). Inclination: 51.70 deg. Period: 92.20 min. Unmanned resupply vessel to Mir. This was the first successful launch of a Soyuz-U after two failures. Docked with Mir at the forward docking port on 2 Aug 1996 22:03:40 GMT. Undocked on 18 Aug 1996 09:33:45 GMT in order to free up the docking port. 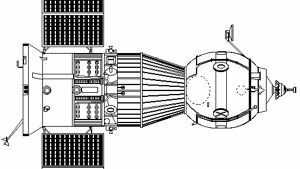 By 29 August 1994 Mir was in a 375 x 390 km x 51.6 deg orbit; the Progress M-32 cargo ship, flying separately, was in a 375 x 392 km x 51.6 deg orbit. Redocked with Mir on 3 Sep 1996 09:35:00 GMT at the rear port of the Kvant module. Finally undocked from Mir on 20 Nov 1996 19:51:20 GMT. Destroyed in reentry on 20 Nov 1996 22:42:25 GMT. Total free-flight time 2.20 days. Total docked time 93.91 days. 1996 November 19 - . 23:20 GMT - . Launch Site: Baikonur. Launch Complex: Baikonur LC1. LV Family: R-7. Launch Vehicle: Soyuz-U-PVB. Progress M-33 - . Payload: Progress M s/n 233. Mass: 7,190 kg (15,850 lb). Nation: Russia. Agency: RAKA. Program: Mir. Class: Manned. Type: Manned logistics spacecraft. Flight: Soyuz TM-24, STS-79 Mir NASA-2. Spacecraft Bus: Soyuz. Spacecraft: Progress M. Duration: 112.17 days. Completed Operations Date: 1997-03-12 03:22:59 . Decay Date: 1997-03-12 03:22:59 . USAF Sat Cat: 24663 . COSPAR: 1996-066A. Apogee: 387 km (240 mi). Perigee: 361 km (224 mi). Inclination: 51.70 deg. Period: 92.00 min. Unmanned resupply vessel to Mir. Docked with Mir on 22 Nov 1996 01:01:30 GMT. Undocked on 6 Feb 1997 12:13:53 GMT. Thereafter in independent orbital flight in a 377 x 395 km x 51.65 deg orbit. Failed to redock with Mir on 4 Mar 1996. Destroyed in reentry on 12 Mar 1997 03:23:37 GMT. Total free-flight time 35.70 days. Total docked time 76.47 days. 1997 April 6 - . 16:04 GMT - . Launch Site: Baikonur. Launch Complex: Baikonur LC1. LV Family: R-7. Launch Vehicle: Soyuz-U-PVB. Progress M-34 - . Payload: Progress M s/n 234. Mass: 7,156 kg (15,776 lb). Nation: Russia. Agency: RAKA. Manufacturer: Korolev bureau. Program: Mir. Class: Manned. Type: Manned logistics spacecraft. Flight: Soyuz TM-25, STS-81 Mir NASA-3. Spacecraft Bus: Soyuz. Spacecraft: Progress M. Duration: 86.60 days. Completed Operations Date: 1997-07-02 06:31:45 . Decay Date: 1997-07-02 06:31:45 . USAF Sat Cat: 24757 . COSPAR: 1997-014A. Apogee: 393 km (244 mi). Perigee: 375 km (233 mi). Inclination: 51.70 deg. Period: 92.20 min. Unmanned resupply vessel to Mir. It carried supplies for the Mir station and repair equipment for Mir's oxygen generators, replacement oxygen-generating 'candles' and a pair of new spacesuits. Docked with Mir at the rear Kvant module port on 8 Apr 1997 17:30:03 GMT. The Mir complex raised its orbit by 5 km on 15 Apr 1997 at 12:00 GMT, using Progress M-34's engine. Undocked on 24 Jun 1997 10:22:50 GMT. It was then used to perform a redocking test using newly developed remote-control procedures which were to replace the automatic system that Russia could no longer afford to buy from Ukraine. At 25 Jun 1997 09:18 GMT Mir commander Tsibliev was remotely commanding the approach of Progress to the Kvant module. This involved guiding the Progress via a television monitor. The Progress was difficult to see against the cloudy earth background at the time of the attempted docking. It went off course and collided with a solar array on the Spektr module and then the module itself. A large hole was made in a solar panel, one of the radiators was buckled, a hole was punched into Spektr's hull, and the module began to depressurize. This was not a slow leak - the crew heard a hissing sound and felt their ears pop. They disconnected the power cables leading from Mir to the main station and closed the hatch on the core module transfer section that led to Spektr. The Spektr module became fully depressurized, remaining docked to Mir with its docking hatch open. The loss of electrical connection between Spektr's solar panels and the main station cut the available power supply to the station, crippling its operations until later repairs reconnected the electrical lines. Tsibliev was also the pilot on a previous orbital collision, when he banged Soyuz TM-17 into Mir in Jan 1994. After the return of the crew to earth he was found to be to blame for the incident, although the fines assessed were later dismissed. The Progress M-34 cargo ship was backed to a safe distance from the station and was destroyed in reentry on 2 Jul 1997 06:31:50 GMT. Total free-flight time 9.90 days. Total docked time 76.70 days. 1997 July 5 - . 04:11 GMT - . Launch Site: Baikonur. Launch Complex: Baikonur LC1. LV Family: R-7. Launch Vehicle: Soyuz-U-PVB. Progress M-35 - . Payload: Progress M s/n 235. Mass: 7,150 kg (15,760 lb). Nation: Russia. Agency: RAKA. Manufacturer: Korolev bureau. Program: Mir. Class: Manned. Type: Manned logistics spacecraft. Flight: Soyuz TM-25, STS-84 Mir NASA-4. Spacecraft Bus: Soyuz. Spacecraft: Progress M. Duration: 82.50 days. Decay Date: 1997-10-08 . USAF Sat Cat: 24851 . COSPAR: 1997-033A. Apogee: 391 km (242 mi). Perigee: 383 km (237 mi). Inclination: 51.70 deg. Period: 92.30 min. Unmanned resupply vessel to Mir. Docked with Mir on 7 Jul 1997 05:59:24 GMT. Undocked on 6 Aug 1997 11:46:45 GMT. Redocked with Mir on 18 Aug 1997 12:52:48 GMT. Final undocking on 7 Oct 1997 12:03:49 GMT. Destroyed in reentry on 7 Oct 1997 17:23:00 GMT. Total free-flight time 2.30 days. Total docked time 80.21 days. 1997 October 5 - . 15:08 GMT - . Launch Site: Baikonur. Launch Complex: Baikonur LC1. LV Family: R-7. Launch Vehicle: Soyuz-U-PVB. Progress M-36 - . Payload: Progress M s/n 237. Mass: 7,195 kg (15,862 lb). Nation: Russia. Agency: RAKA. Manufacturer: Korolev bureau. Program: Mir. Class: Manned. Type: Manned logistics spacecraft. Flight: Soyuz TM-26, STS-84 Mir NASA-4, STS-86, STS-86 Mir NASA-5. Spacecraft Bus: Soyuz. Spacecraft: Progress M. Duration: 74.92 days. Decay Date: 1997-12-19 . USAF Sat Cat: 25002 . COSPAR: 1997-058A. Apogee: 390 km (240 mi). Perigee: 378 km (234 mi). Inclination: 51.70 deg. Period: 92.20 min. Unmanned resupply vessel to Mir. Docked with Mir on 8 Oct 1997 17:07:09 GMT. Undocked on 17 Dec 1997 06:01:53 GMT. Destroyed in reentry on 19 Dec 1997 13:20:01 GMT. Total free-flight time 5.39 days. Total docked time 69.54 days..
1997 December 20 - . 08:45 GMT - . Launch Site: Baikonur. Launch Complex: Baikonur LC1. LV Family: R-7. Launch Vehicle: Soyuz-U-PVB. Progress M-37 - . Payload: Progress M s/n 236. Mass: 7,040 kg (15,520 lb). Nation: Russia. Agency: RAKA. Manufacturer: Korolev bureau. Program: Mir. Class: Manned. Type: Manned logistics spacecraft. Flight: Soyuz TM-26, STS-86 Mir NASA-5. Spacecraft Bus: Soyuz. Spacecraft: Progress M. Duration: 61.69 days. Decay Date: 1998-03-16 . USAF Sat Cat: 25102 . COSPAR: 1997-081A. Apogee: 403 km (250 mi). Perigee: 363 km (225 mi). Inclination: 51.80 deg. Period: 92.20 min. Unmanned resupply vessel to Mir. Docked with Mir at the rear Kvant port on 22 Dec 1997 10:22:20 GMT. Undocked on 30 Jan 1998 12:00:00 GMT. Redocked with Mir on 23 Feb 1998 09:42:28 GMT. Final undocking 15 Mar 1998 19:16:01 GMT. Destroyed in reentry on 15 Mar 1998 23:04:00 GMT. Total free-flight time 2.23 days. Total docked time 59.47 days. 1998 March 14 - . 22:45 GMT - . Launch Site: Baikonur. Launch Complex: Baikonur LC1. LV Family: R-7. Launch Vehicle: Soyuz-U-PVB. Progress M-38 - . Payload: Progress M s/n 240. Mass: 7,007 kg (15,447 lb). Nation: Russia. Agency: RAKA. Manufacturer: Korolev bureau. Program: Mir. Class: Manned. Type: Manned logistics spacecraft. Flight: Soyuz TM-27, STS-89 Mir NASA-6. Spacecraft Bus: Soyuz. Spacecraft: Progress M. Duration: 61.05 days. Decay Date: 1998-05-15 . USAF Sat Cat: 25256 . COSPAR: 1998-015A. Apogee: 379 km (235 mi). Perigee: 372 km (231 mi). Inclination: 51.70 deg. Period: 92.10 min. Progress M-38 was specially modified to carry the second VDU (Vynosnaya Dvigatel'naya Ustanovka, External Engine Unit) propulsion unit. The VDU was mounted externally on a special structure between the cargo module and the service module, replacing the OKD fuel section present on normal Progress vehicles. The crew spacewalks to extract the VDU from Progress and place it on the end of the Sofora boom extending from the Kvant module. The VDU was used to provide attitude control capability for the station. By 03:20 GMT on March 15 1998 Progress M-38 had successfully completed its first two orbital manoeuvres. It replaced Progress M-37 at the docking port on the Kvant module, with a successful docking on March 16 1998 at 22:45 GMT. Undocked May 15 at 1844 UTC, freeing up the docking port on the Kvant module for Progress M-39. Deorbited over Pacific May 15, 1998. 1998 May 14 - . 22:12 GMT - . Launch Site: Baikonur. Launch Complex: Baikonur LC1. LV Family: R-7. Launch Vehicle: Soyuz-U-PVB. Progress M-39 - . Payload: Progress M s/n 238. Mass: 7,450 kg (16,420 lb). Nation: Russia. Agency: RAKA. Manufacturer: Korolev bureau. Program: Mir. Class: Manned. Type: Manned logistics spacecraft. Flight: Soyuz TM-27, STS-89 Mir NASA-6. Spacecraft Bus: Soyuz. Spacecraft: Progress M. Duration: 167.08 days. Decay Date: 1998-10-29 . USAF Sat Cat: 25340 . COSPAR: 1998-031A. Apogee: 373 km (231 mi). Perigee: 360 km (220 mi). Inclination: 51.70 deg. Period: 91.90 min. Docked with Mir at the Kvant port at 23:51 GMT on May 16 1998, bringing supplies and scientific experiments to the station. Undocked 09:28 GMT on August 12 1998 in order to clear the port for Soyuz TM-28. Deorbited over Pacific Ocean on October 29, 1998..
Progress M-40 - . Payload: Progress M s/n 239. Mass: 7,450 kg (16,420 lb). Nation: Russia. Agency: RAKA. Manufacturer: Korolev bureau. Program: Mir. Class: Manned. Type: Manned logistics spacecraft. Flight: Soyuz TM-28, Soyuz TM-28 Mir EO-26/-27. Spacecraft Bus: Soyuz. Spacecraft: Progress M. Duration: 103.25 days. Decay Date: 1999-02-05 . USAF Sat Cat: 25512 . COSPAR: 1998-062A. Apogee: 360 km (220 mi). Perigee: 349 km (216 mi). Inclination: 51.60 deg. Period: 91.63 min. Docked with the rear (+X, Kvant) docking port of the Mir station on October 27. Delivered fuel, dry cargo, and the Znamya-2.5 solar illumination experiment. This was a follow-on to the earlier Znamya-2 experiment on Progress M-15 in 1992. 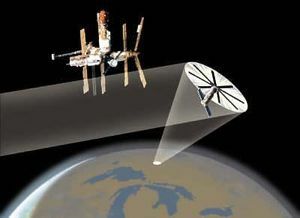 The 25 m diameter Znamya reflector, which would unfold from the nose of the Progress, was to reflect sunlight over a 6 km area onto selected cities. Znamya-2.5 was developed by the Space Regatta Consortium, led by RKK Energia. Energia had long studied such space mirrors as a means of providing lighting to Siberian towns. The project was opposed by environmentalists and astronomers, who feared light pollution. 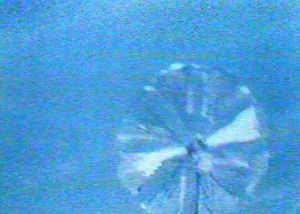 Progress M-40 undocked on February 4, 1999 at 09:59 GMT, but the attempted deployment of the Znamya-2.5 reflector was thwarted when it snagged on a rendezvous system antenna. After two more failed attempts to deploy the antenna the experiment was abandoned. Progress M-40 fired its engines at 10:16 GMT on February 5, braked out of orbit, and burned up over the Pacific Ocean. 1999 April 2 - . 11:28 GMT - . Launch Site: Baikonur. Launch Complex: Baikonur LC1. LV Family: R-7. Launch Vehicle: Soyuz-U-PVB. Progress M-41 - . Payload: Progress M s/n 241. Mass: 7,450 kg (16,420 lb). Nation: Russia. Agency: RAKA. Manufacturer: Korolev bureau. Program: Mir. Class: Manned. Type: Manned logistics spacecraft. Flight: Soyuz TM-28 Mir EO-26/-27, Soyuz TM-29. Spacecraft Bus: Soyuz. Spacecraft: Progress M. Duration: 105.99 days. Decay Date: 1999-07-17 . USAF Sat Cat: 25664 . COSPAR: 1999-015A. Apogee: 361 km (224 mi). Perigee: 336 km (208 mi). Inclination: 51.60 deg. Period: 91.51 min. Resupply craft docked uneventfully with the Mir complex two days later. It also delivered the Sputnik-99 amateur radio satellite, launched into orbit by hand by the cosmonauts during an EVA on April 16. Still hopeful of finding a backer to pay to keep Mir in space, Progress M-41 began a series of engine burns in late April to raise the orbit of the station. 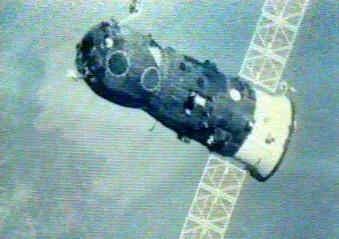 It finally undocked from Mir at 11:20 GMT on July 17 and was deorbited over the Pacific later the same day. 1999 July 16 - . 16:37 GMT - . Launch Site: Baikonur. Launch Complex: Baikonur LC1. LV Family: R-7. Launch Vehicle: Soyuz-U-PVB. Progress M-42 - . Payload: Progress M s/n 242. Mass: 7,450 kg (16,420 lb). Nation: Russia. Agency: RAKA. Manufacturer: Korolev bureau. Program: Mir. Class: Manned. Type: Manned logistics spacecraft. Flight: Soyuz TM-28 Mir EO-26/-27, Soyuz TM-29. Spacecraft Bus: Soyuz. Spacecraft: Progress M. Duration: 200.57 days. Decay Date: 2000-02-04 . USAF Sat Cat: 25858 . COSPAR: 1999-038A. Apogee: 348 km (216 mi). Perigee: 340 km (210 mi). Inclination: 51.60 deg. Period: 91.42 min. Delivered supplies to the crew of the Mir complex. Docked with the Kvant port at 17:53 GMT on July 18. Remained docked to the station after the departure of the last operational crew in September 1999. Undocked on February 2. 2000, to clear the port for Progress M1, at 0311:52 GMT. Deorbited over the Pacific later the same day at 0610:40 UTC with an 8 minute burn. 2000 October 16 - . 21:27 GMT - . Launch Site: Baikonur. Launch Complex: Baikonur LC1. LV Family: R-7. Launch Vehicle: Soyuz-U-PVB. Progress M-43 - . Payload: Progress M s/n 243. Mass: 6,860 kg (15,120 lb). Nation: Russia. Agency: RAKA. Manufacturer: Korolev bureau. Program: Mir. Class: Manned. Type: Manned logistics spacecraft. Spacecraft Bus: Soyuz. Spacecraft: Progress M. Duration: 101.00 days. Decay Date: 2001-01-29 . USAF Sat Cat: 26570 . COSPAR: 2000-064A. Apogee: 228 km (141 mi). Perigee: 186 km (115 mi). Inclination: 51.60 deg. Period: 88.64 min. Mir Servicing flight. Launch delayed from October 15. Progress docked with Mir, primarily to raise its orbit and preserve the option of a MirCorp-financed flight in 2001. However the funding never came through and the decision was taken to deorbit Mir. Progress M-43 undocked at 0519 GMT on January 25 from the +X Kvant port to clear it for Progress M1-5 (which would deorbit the Mir station). On January 29 Progress M-43 was in a 271 x 280 km x 51.6 deg orbit. 2001 February 26 - . 08:09 GMT - . Launch Site: Baikonur. Launch Complex: Baikonur LC1. LV Family: R-7. Launch Vehicle: Soyuz-U-PVB. Progress M-44 - . Payload: Progress M s/n 244. Mass: 7,250 kg (15,980 lb). Nation: Russia. Agency: RAKA. Manufacturer: Korolev bureau. Program: ISS. Class: Manned. Type: Manned logistics spacecraft. Flight: Soyuz TM-31. Spacecraft Bus: Soyuz. Spacecraft: Progress M. Duration: 49.22 days. Decay Date: 2001-04-16 . USAF Sat Cat: 26713 . COSPAR: 2001-008A. Apogee: 393 km (244 mi). Perigee: 376 km (233 mi). Inclination: 51.60 deg. Period: 92.20 min. ISS Servicing flight. Launch delayed from February10/20. Progress M-44 was a Russian, automatic cargo carrier that carried 2.5 tonnes of food, water, fuel, oxygen, and equipment to the International Space Station. In preparation for the docking, the ISS crew repositioned the Soyuz TM-31 escape craft from its port on Zvezda to a port on the Zarya module. Progress M-44 docked with the -Y port on Zvezda at 09:47 UT on 28 February. It undocked from Zvezda's aft port on April 16 at 0848 GMT and was deorbited at 1323 GMT over the Pacific Ocean. 2001 August 21 - . 09:23 GMT - . Launch Site: Baikonur. Launch Complex: Baikonur LC1. LV Family: R-7. Launch Vehicle: Soyuz-U-PVB. Progress M-45 - . Payload: Progress M s/n 245. Mass: 7,250 kg (15,980 lb). Nation: Russia. Agency: RAKA. Manufacturer: Korolev bureau. Program: ISS. Class: Manned. Type: Manned logistics spacecraft. Flight: STS-105 ISS EO-3. Spacecraft Bus: Soyuz. Spacecraft: Progress M. Duration: 93.50 days. Decay Date: 2001-11-22 . USAF Sat Cat: 26890 . COSPAR: 2001-036A. Apogee: 389 km (241 mi). Perigee: 376 km (233 mi). Inclination: 51.60 deg. Period: 92.20 min. ISS Servicing Mission. Launch delayed from July 4 and 24. Progress M-45, 7K-TGM No. 245 (of the older generation series of Progress) docked with the ISS at 0951 GMT on August 23 at the aft Zvezda port vacated by Progress M6-1 a day earlier. It and delivered 2.5 tonnes of fuel, water, oxygen, equipment and spare parts. Progress M-45 undocked on November 22 and was deorbited over the Pacific later the same day. 2002 June 26 - . 05:36 GMT - . Launch Site: Baikonur. Launch Complex: Baikonur LC1. LV Family: R-7. Launch Vehicle: Soyuz-U-PVB. Progress M-46 - . Payload: Progress M s/n 246. Mass: 7,250 kg (15,980 lb). Nation: Russia. Agency: RAKA. Manufacturer: Korolev bureau. Program: ISS. Class: Manned. Type: Manned logistics spacecraft. Flight: STS-111 ISS EO-5. Spacecraft Bus: Soyuz. Spacecraft: Progress M. Duration: 110.00 days. Decay Date: 2002-10-14 . USAF Sat Cat: 27454 . COSPAR: 2002-033A. Apogee: 397 km (246 mi). Perigee: 387 km (240 mi). Inclination: 51.60 deg. Period: 92.40 min. Launch delayed from May 21, then moved forward from July 14. Progress M-46 was launched on ISS mission 8P and docked with the Zvezda module at 0623 UTC on June 29 after carrying out tests of the Kurs rendezvous system on June 28. Seperated from ISS and commanded to destructive re-entry on 14 October 2002. 2003 February 2 - . 12:59 GMT - . Launch Site: Baikonur. Launch Complex: Baikonur LC1. LV Family: R-7. Launch Vehicle: Soyuz-U-PVB. Progress M-47 - . Payload: Progress M s/n 247. Mass: 7,290 kg (16,070 lb). Nation: Russia. Agency: RAKA. Manufacturer: Korolev bureau. Program: ISS. Class: Manned. Type: Manned logistics spacecraft. Flight: STS-113 ISS EO-6. Spacecraft Bus: Soyuz. Spacecraft: Progress M. Duration: 206.00 days. Decay Date: 2003-08-28 . USAF Sat Cat: 27681 . COSPAR: 2003-006A. Apogee: 247 km (154 mi). Perigee: 195 km (121 mi). Inclination: 51.65 deg. Period: 88.77 min. Launch delayed from original schedule of January 30, and was made just one day after the Columbia disaster resulted in a suspension of shuttle flights. Docked successfully with the ISS on 14:49 GMT on 4 February 2003. Undocked from Zvezda on August 27 and deorbited later the same day. 2003 August 29 - . 01:47 GMT - . Launch Site: Baikonur. Launch Complex: Baikonur LC1. LV Family: R-7. Launch Vehicle: Soyuz-U-PVB. Progress M-48 - . Payload: Progress M s/n 248. Mass: 7,250 kg (15,980 lb). Nation: Russia. Agency: RAKA. Program: ISS. Class: Manned. Type: Manned logistics spacecraft. Flight: Soyuz TMA-2. Spacecraft Bus: Soyuz. Spacecraft: Progress M. Duration: 152.00 days. Decay Date: 2004-01-28 . USAF Sat Cat: 27873 . COSPAR: 2003-039A. Apogee: 383 km (237 mi). Perigee: 376 km (233 mi). Inclination: 51.60 deg. Period: 92.10 min. Delayed from July 30, moved up from September 18 and August 30. Docked with the Zvezda module of the ISS on August 31. Undocked from the station at 08:36 GMT on 28 January 2004 after being filled with trash and unneeded equipment. Deorbited and reentered over the Pacific at 13:46 GMT. 2004 May 25 - . 12:34 GMT - . Launch Site: Baikonur. Launch Complex: Baikonur LC1. LV Family: R-7. Launch Vehicle: Soyuz-U-PVB. Progress M-49 - . Payload: Progress M s/n 249. Mass: 7,283 kg (16,056 lb). Nation: Russia. Agency: RAKA. Manufacturer: Korolev bureau. Program: ISS. Class: Manned. Type: Manned logistics spacecraft. Flight: Soyuz TMA-4. Spacecraft Bus: Soyuz. Spacecraft: Progress M. Duration: 66.00 days. Decay Date: 2004-07-30 . USAF Sat Cat: 28261 . COSPAR: 2004-019A. Apogee: 367 km (228 mi). Perigee: 359 km (223 mi). Inclination: 51.60 deg. Period: 91.80 min. Docked at the aft port of the Zvezda Service Module of the International Space Station on 27 May at 13:55 GMT. Delivered two and a half tons of food, water, fuel, spare parts and supplies. Progress M-49 undocked from the Zvezda module on 30 July 2004 at 7:05 GMT, after having been filled with a tonne of trash. Fincke filmed its departure, and Station exterior cameras captured rare footage of the Progress' fiery re-entry into Earth's atmosphere after it was deorbited. 2004 August 11 - . 05:01 GMT - . Launch Site: Baikonur. Launch Complex: Baikonur LC1. LV Family: R-7. Launch Vehicle: Soyuz-U-PVB. Progress M-50 - . Payload: Progress M s/n 250. Mass: 7,250 kg (15,980 lb). Nation: Russia. Agency: RAKA. Manufacturer: Korolev bureau. Program: ISS. Class: Manned. Type: Manned logistics spacecraft. Flight: Soyuz TMA-4. Spacecraft Bus: Soyuz. Spacecraft: Progress M. Duration: 133.73 days. Decay Date: 2004-12-23 . USAF Sat Cat: 28399 . COSPAR: 2004-032A. Apogee: 365 km (226 mi). Perigee: 358 km (222 mi). Inclination: 51.60 deg. Period: 91.80 min. Delayed from July 22 and 28. Docked with the International Space Station at 05:01 GMT on August 14. Undocked from the Zvezda module of the ISS on December 22 at 19:34 GMT and was deorbited over the Pacific at 22:32 GMT..
2004 December 23 - . 22:19 GMT - . Launch Site: Baikonur. Launch Complex: Baikonur LC1. LV Family: R-7. Launch Vehicle: Soyuz-U-PVB. Progress M-51 - . Payload: Progress M s/n 251. Mass: 7,250 kg (15,980 lb). Nation: Russia. Agency: RAKA. Manufacturer: Korolev bureau. Program: ISS. Class: Manned. Type: Manned logistics spacecraft. Flight: Soyuz TMA-5. Spacecraft Bus: Soyuz. Spacecraft: Progress M. Duration: 76.00 days. Decay Date: 2005-03-09 . USAF Sat Cat: 28503 . COSPAR: 2004-051A. Apogee: 355 km (220 mi). Perigee: 316 km (196 mi). Inclination: 51.60 deg. Period: 91.20 min. Launch delayed from November 24, December 22 . Progress M-51 docked with the Zvezda module of the International Space Station on December 25 at 23:58 GMT, bringing critical food supplies to the EO-10 crew. Press hype during the delays prior to the launch had portrayed the situation as one where failure of the Progress to dock would have required the crew to either return to earth or starve. Undocked from at 16:06 GMT on February 27, 2005, in order to clear the port for Progress M-52, which would launch the next day. Progress M-51 lowered its perigee at around 18:30 GMT and remained in orbit for several days. FInally an engine firing was commanded, bringing it down in a destructive re-entry over the Pacific Ocean on March 9. 2005 February 28 - . 19:09 GMT - . Launch Site: Baikonur. Launch Complex: Baikonur LC1. LV Family: R-7. Launch Vehicle: Soyuz-U-PVB. Progress M-52 - . Payload: Progress M s/n 252. Mass: 7,250 kg (15,980 lb). Nation: Russia. Agency: RAKA. Manufacturer: Kozlov bureau. Program: ISS. Class: Manned. Type: Manned logistics spacecraft. Flight: Soyuz TMA-5. Spacecraft Bus: Soyuz. Spacecraft: Progress M. Duration: 107.20 days. Decay Date: 2005-06-16 . USAF Sat Cat: 28624 . COSPAR: 2005-007A. Apogee: 360 km (220 mi). Perigee: 350 km (210 mi). Inclination: 51.60 deg. Period: 91.60 min. Docked with the Zvezda module of the International Space Station at 20:10 GMT on March 2. Undocked at 20:16 GMT on 15 June. Retrofire at 23:16 GMT lowered its perigee to 62 km, and resulting in a destructive re-entry over the Pacific at 23:57 GMT..
2005 June 16 - . 23:10 GMT - . Launch Site: Baikonur. Launch Complex: Baikonur LC1. LV Family: R-7. Launch Vehicle: Soyuz-U-PVB. Progress M-53 - . Payload: Progress M s/n 353. Mass: 7,250 kg (15,980 lb). Nation: Russia. Agency: RAKA. Manufacturer: Korolev bureau. Program: ISS. Class: Manned. Type: Manned logistics spacecraft. Flight: Soyuz TMA-6. Spacecraft Bus: Soyuz. Spacecraft: Progress M. Duration: 82.62 days. Decay Date: 2005-09-07 . USAF Sat Cat: 28700 . COSPAR: 2005-021A. Apogee: 353 km (219 mi). Perigee: 350 km (210 mi). Inclination: 51.60 deg. Period: 91.60 min. Delayed from June 10. Space station resupply mission. After a communications failure, ISS Commander Krikalyov took manual remote control used the TORU system to guide Progress M-53 to a docking at the ISS Zvezda module at 00:42 GMT on 19 June. Undocked at 10:26 GMT on 7 September into a 350 km x 351 km orbit. Progress M-53 began retrofire at 13:26 GMT the same day, lowering its perigee to 56 km and thereby ensuring a destructive re-entry into the Pacific Ocean. 2005 September 8 - . 13:08 GMT - . Launch Site: Baikonur. Launch Complex: Baikonur LC1. LV Family: R-7. Launch Vehicle: Soyuz-U-PVB. Progress M-54 - . Payload: Progress M s/n 354. Mass: 7,250 kg (15,980 lb). Nation: Russia. Agency: RAKA. Manufacturer: Kozlov bureau. Program: ISS. Class: Manned. Type: Manned logistics spacecraft. Flight: Soyuz TMA-6. Spacecraft Bus: Soyuz. Spacecraft: Progress M. Duration: 176.00 days. Decay Date: 2006-03-03 . USAF Sat Cat: 28866 . COSPAR: 2005-035A. Apogee: 348 km (216 mi). Perigee: 347 km (215 mi). Inclination: 51.60 deg. Period: 91.50 min. Delayed from August 24. Resupply spacecraft which docked with the ISS Zvezda module at 14:42 GMT on 10 September. Undocked from the Zvezda module on March 3 2006 at 10:06 GMT and fired its engines to reenter over the Pacific at 13:05 GMT..
2005 December 21 - . 18:38 GMT - . Launch Site: Baikonur. Launch Complex: Baikonur LC1. LV Family: R-7. Launch Vehicle: Soyuz-U-PVB. Progress M-55 - . Payload: Progress M s/n 355. Mass: 7,250 kg (15,980 lb). Nation: Russia. Agency: RAKA. Manufacturer: Korolev bureau. Program: ISS. Class: Manned. Type: Manned logistics spacecraft. Flight: Soyuz TMA-7. Spacecraft Bus: Soyuz. Spacecraft: Progress M. Duration: 179.96 days. Decay Date: 2006-06-19 . USAF Sat Cat: 28906 . COSPAR: 2005-047A. Apogee: 349 km (216 mi). Perigee: 336 km (208 mi). Inclination: 51.60 deg. Period: 91.40 min. The resupply spacecraft docked with the ISS Pirs module at 19:46 GMT on 23 December. It undocked at 14:06 GMT on June 19, 2006; fired its engines at 17:06 GMT to lower its orbit into the atmosphere; and burned up over the Pacific Ocean at 17:41 GMT..
2006 April 24 - . 16:03 GMT - . Launch Site: Baikonur. Launch Complex: Baikonur LC1. LV Family: R-7. Launch Vehicle: Soyuz-U-PVB. Progress M-56 - . Payload: Progress M s/n 356. Mass: 7,250 kg (15,980 lb). Nation: Russia. Agency: RAKA. Manufacturer: Korolev bureau. Program: ISS. Class: Manned. Type: Manned logistics spacecraft. Flight: Soyuz TMA-8. Spacecraft Bus: Soyuz. Spacecraft: Progress M. Duration: 157.35 days. Decay Date: 2006-09-19 . USAF Sat Cat: 29057 . COSPAR: 2006-013A. Apogee: 349 km (216 mi). Perigee: 336 km (208 mi). Inclination: 51.60 deg. Period: 91.40 min. Progress M-56 docked at the Zvezda port of the International Space Station on 26 April at 17:41 GMT. It undocked at 00:28 GMT on 29 September and was then commanded to a destructive reentry over the south Pacific Ocean..
2006 June 24 - . Launch Site: Baikonur. Launch Complex: Baikonur LC1. LV Family: R-7. Launch Vehicle: Soyuz-U-PVB. Progress M-57 - . Payload: Progress M s/n 357. Mass: 7,250 kg (15,980 lb). Nation: Russia. Agency: RAKA. Manufacturer: Korolev bureau. Program: ISS. Class: Manned. Type: Manned logistics spacecraft. Flight: Soyuz TMA-8. Spacecraft Bus: Soyuz. Spacecraft: Progress M. Duration: 207.00 days. Decay Date: 2007-01-17 . USAF Sat Cat: 29245 . COSPAR: 2006-025A. Apogee: 349 km (216 mi). Perigee: 335 km (208 mi). Inclination: 51.60 deg. Period: 91.30 min. The Progress flew International Space Station resupply mission 22P (NASA called the flight Progress 22). It docked at the ISS Pirs port at 16:25 GMT on June 26..
2006 October 23 - . 13:40 GMT - . Launch Site: Baikonur. Launch Complex: Baikonur LC1. LV Family: R-7. Launch Vehicle: Soyuz-U-PVB. Progress M-58 - . Payload: Progress M s/n 358. Mass: 7,250 kg (15,980 lb). Nation: Russia. Agency: RAKA. Manufacturer: Korolev bureau. Program: ISS. Class: Manned. Type: Manned logistics spacecraft. Flight: Soyuz TMA-8. Spacecraft Bus: Soyuz. Spacecraft: Progress M. Duration: 155.38 days. Decay Date: 2007-03-28 . USAF Sat Cat: 29503 . COSPAR: 2006-045A. Apogee: 351 km (218 mi). Perigee: 321 km (199 mi). Inclination: 51.60 deg. Period: 91.30 min. The Progress docked with the Zvezda module of the ISS at 14:29 GMT on October 26. There were indications that the Kurs rendezvous antenna on the forward docking ring had not retracted correctly, but this proved not to be the case. Hard dock was commanded at 18:06 GMT. Progress M-58 undocked from the Zvezda module on 27 March 2007 at 18:11 GMT and was deorbited at 22:44 GMT. 2007 January 18 - . 02:12 GMT - . Launch Site: Baikonur. Launch Complex: Baikonur LC1. LV Family: R-7. Launch Vehicle: Soyuz-U-PVB. Progress M-59 - . Payload: Progress M s/n 359. Mass: 7,250 kg (15,980 lb). Nation: Russia. Related Persons: Lopez-Alegria, Tyurin, Williams. Agency: RAKA. Manufacturer: Korolev bureau. Program: ISS. Class: Manned. Type: Manned logistics spacecraft. Flight: Soyuz TMA-9, STS-117 ISS EO-15. Spacecraft Bus: Soyuz. Spacecraft: Progress M. Duration: 195.00 days. Decay Date: 2007-08-01 . USAF Sat Cat: 29714 . COSPAR: 2007-002A. Apogee: 351 km (218 mi). Perigee: 321 km (199 mi). Inclination: 51.60 deg. Period: 91.30 min. Progress docked to the Pirs port of the ISS at 01:59 GMT on 20 January. 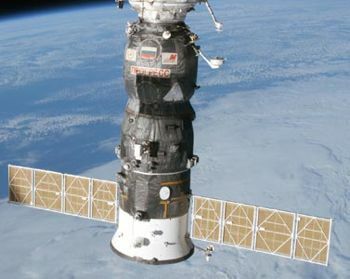 The cargo craft brought up 780 kg of propellant for the Russian thrusters, 50 kg of oxygen and 1500 kg of spare parts, experiment hardware and life support components..
2007 May 12 - . 03:25 GMT - . Launch Site: Baikonur. Launch Complex: Baikonur LC1. LV Family: R-7. Launch Vehicle: Soyuz-U-PVB. Progress M-60 - . Payload: Progress M s/n 360. Mass: 7,280 kg (16,040 lb). Nation: Russia. Related Persons: Kotov, Williams, Yurchikhin. Agency: RAKA. Manufacturer: Korolev bureau. Program: ISS. Class: Manned. Type: Manned logistics spacecraft. Flight: Soyuz TMA-10, STS-117 ISS EO-15. Spacecraft Bus: Soyuz. Spacecraft: Progress M. Duration: 136.65 days. Decay Date: 2007-09-25 . USAF Sat Cat: 31393 . COSPAR: 2007-017A. Apogee: 341 km (211 mi). Perigee: 330 km (200 mi). Inclination: 51.60 deg. Period: 91.20 min. Space station resupply spacecraft which docked with the Zvezda port of the International Space Station at 05:10 GMT on 15 May. It undocked on 19 September was conducted plasma depletion experiments before being deorbited over the Pacific at 19:01 GMT on 25 September..
2007 August 2 - . 17:33 GMT - . Launch Site: Baikonur. Launch Complex: Baikonur LC1. LV Family: R-7. Launch Vehicle: Soyuz-U-PVB. Progress M-61 - . Payload: Progress M s/n 361. Mass: 7,200 kg (15,800 lb). Nation: Russia. Agency: RAKA. Manufacturer: Korolev bureau. Program: ISS. Class: Manned. Type: Manned logistics spacecraft. Flight: Soyuz TMA-10, STS-117 ISS EO-15. Spacecraft Bus: Soyuz. Spacecraft: Progress M. Duration: 173.00 days. Decay Date: 2008-01-22 . USAF Sat Cat: 32001 . COSPAR: 2007-033A. Apogee: 346 km (214 mi). Perigee: 334 km (207 mi). Inclination: 51.60 deg. Period: 91.30 min. International space station resupply; docked with the Pirs module at 18:40 GMT on 5 August. Undocked at 03:59 GMT on 22 December to clear port for Progress M-62 launched the next day. Deorbited over the Pacific on 22 January 2008 after a month of free flight carrying out the Plazma-Progress experiment. 2007 December 23 - . 07:12 GMT - . Launch Site: Baikonur. Launch Complex: Baikonur LC1. LV Family: R-7. Launch Vehicle: Soyuz-U-PVB. Progress M-62 - . Payload: Progress M s/n 362. Mass: 7,130 kg (15,710 lb). Nation: Russia. Agency: RAKA. Manufacturer: Korolev bureau. Program: ISS. Class: Manned. Type: Manned logistics spacecraft. Flight: Soyuz TMA-11, STS-120 ISS EO-16. Spacecraft Bus: Soyuz. Spacecraft: Progress M. Duration: 54.11 days. Decay Date: 2008-02-15 . USAF Sat Cat: 32391 . COSPAR: 2007-064B. Apogee: 341 km (211 mi). Perigee: 333 km (206 mi). Inclination: 51.60 deg. Period: 91.30 min. Resupply spacecraft that docked with the Pirs port of the International Space Station at 08:14 GMT on 26 December. Undocked on 4 February 2008 at 10:32 GMT and then carried out Earth observations for ten days before being deorbited on 15 February at 09:44 GMT. 2008 February 5 - . 13:03 GMT - . Launch Site: Baikonur. LV Family: R-7. Launch Vehicle: Soyuz-U-PVB. Progress M-63 - . Payload: Progress M s/n 363. Mass: 7,130 kg (15,710 lb). Nation: Russia. Agency: RKA. Program: ISS. Class: Manned. Type: Manned logistics spacecraft. Flight: Soyuz TMA-11, STS-120 ISS EO-16. Spacecraft Bus: Soyuz. Spacecraft: Progress M. Duration: 61.96 days. Decay Date: 2008-04-07 12:00:00 . USAF Sat Cat: 32484 . COSPAR: 2008-004A. Apogee: 339 km (210 mi). Perigee: 338 km (210 mi). Inclination: 51.60 deg. Period: 91.30 min. Docked with the ISS at the Pirs module on 7 February at 14:38 GMT. Undocked on 7 April at 08:49 GMT and was deorbited over the Pacific later the same day..
2008 May 14 - . 20:23 GMT - . Launch Site: Baikonur. Launch Complex: Baikonur LC1. LV Family: R-7. Launch Vehicle: Soyuz-U-PVB. Progress M-64 - . Payload: Progress M s/n 364. Mass: 7,056 kg (15,555 lb). Nation: Russia. Agency: RKA. Program: ISS. Class: Manned. Type: Manned logistics spacecraft. Flight: Soyuz TMA-12, STS-123 ISS EO-16. Spacecraft Bus: Soyuz. Spacecraft: Progress M. Duration: 137.02 days. Decay Date: 2008-09-08 . USAF Sat Cat: 32847 . COSPAR: 2008-023A. Apogee: 343 km (213 mi). Perigee: 336 km (208 mi). Inclination: 51.60 deg. Period: 91.30 min. Unmanned space station resupply mission. Docked with the International Space Station at the Zarya port on 16 May. Undocked on 1 September at 19:47 GMT. It then flew for a week in independent orbit, carrying out the Plazma-Progress experiment. On 8 September at 20:47 GMT it was deorbited to destruction over the Pacific Ocean. 2008 September 10 - . 19:50 GMT - . Launch Site: Baikonur. Launch Complex: Baikonur LC1. LV Family: R-7. Launch Vehicle: Soyuz-U-PVB. Progress M-65 - . Payload: Progress M s/n 365. Mass: 7,100 kg (15,600 lb). Nation: Russia. Agency: RKA. Program: ISS. Class: Manned. Type: Manned logistics spacecraft. Flight: Soyuz TMA-12, STS-124 ISS EO-17. Spacecraft Bus: Soyuz. Spacecraft: Progress M. Duration: 88.00 days. Decay Date: 2008-12-07 . USAF Sat Cat: 33340 . COSPAR: 2008-043A. Apogee: 357 km (221 mi). Perigee: 348 km (216 mi). Inclination: 51.60 deg. Period: 91.60 min. Docking with the ISS at the Zvezda module was delayed due to NASA Houston operations being curtailed during Hurricane Ike. The resupply spacecraft finally docked at 18:43 GMT on 27 September. It undocked at 16:20 GMT on 14 November, but then flew independently in orbit until 7 December in order to conduct continue ionospheric experiments. 2008 November 26 - . 12:38 GMT - . Launch Site: Baikonur. Launch Complex: Baikonur LC1. LV Family: R-7. Launch Vehicle: Soyuz-U-PVB. Progress M-01M - . Payload: Progress M s/n 401. Mass: 7,290 kg (16,070 lb). Nation: Russia. Agency: RKA. Program: ISS. Class: Manned. Type: Manned logistics spacecraft. Flight: Soyuz TMA-13, STS-126 ISS EO-18. Spacecraft Bus: Soyuz. Spacecraft: Progress M. Duration: 74.00 days. Decay Date: 2009-02-08 . USAF Sat Cat: 33443 . COSPAR: 2008-060A. Apogee: 362 km (224 mi). Perigee: 352 km (218 mi). Inclination: 51.60 deg. Period: 91.70 min. ISS resupply spacecraft, a modernized version of Progress with a digital control system, docked at the Pirs port of the station on 30 November..
2009 February 10 - . 05:49 GMT - . Launch Site: Baikonur. Launch Complex: Baikonur LC31. LV Family: R-7. Launch Vehicle: Soyuz-U-PVB. Progress M-66 - . Payload: Progress M s/n 366. Mass: 7,250 kg (15,980 lb). Nation: Russia. Agency: RKA. Program: ISS. Class: Manned. Type: Manned logistics spacecraft. Flight: Soyuz TMA-13, STS-126 ISS EO-18. Spacecraft Bus: Soyuz. Spacecraft: Progress M. Duration: 97.00 days. Decay Date: 2009-05-18 . USAF Sat Cat: 33593 . COSPAR: 2009-006A. Apogee: 357 km (221 mi). Perigee: 342 km (212 mi). Inclination: 51.60 deg. Period: 91.50 min. ISS resupply. Docked with the ISS at 07:18 GMT on 13 February. Undocked at 15:18 on 6 May and destroyed over the Pacific on 18 May..
2009 May 7 - . 18:37 GMT - . Launch Site: Baikonur. Launch Complex: Baikonur LC1. LV Family: R-7. Launch Vehicle: Soyuz-U-PVB. Progress M-02M - . Payload: Progress M s/n 402. Mass: 7,120 kg (15,690 lb). Nation: Russia. Agency: RKA. Program: ISS. Class: Manned. Type: Manned logistics spacecraft. Flight: Soyuz TMA-14. Spacecraft Bus: Soyuz. Spacecraft: Progress M. Duration: 67.00 days. Decay Date: 2009-07-13 . USAF Sat Cat: 34905 . COSPAR: 2009-024A. Apogee: 348 km (216 mi). Perigee: 337 km (209 mi). Inclination: 51.60 deg. Period: 91.40 min. ISS logistics flight. Docked with the Pirs module of the ISS on 12 May at 19:24. Undocked with ISS on 30 June, conducted scientific experiments, then made a second rendezvous with the ISS at the Zvezda module to test docking systems for the upcoming Mini-Research Module 2. Backed away after getting within 10 m of the station. Retrofire on 13 July followed by burn up over the Pacific at 16:28 GMT. 2009 July 24 - . 10:56 GMT - . Launch Site: Baikonur. Launch Complex: Baikonur LC1. LV Family: R-7. Launch Vehicle: Soyuz-U-PVB. Progress M-67 - . Payload: Progress M s/n 367. Mass: 7,285 kg (16,060 lb). Nation: Russia. Agency: RKA. Program: ISS. Class: Manned. Type: Manned logistics spacecraft. Flight: Soyuz TMA-14, Soyuz TMA-15. Spacecraft Bus: Soyuz. Spacecraft: Progress M. Duration: 65.00 days. Decay Date: 2009-09-27 . USAF Sat Cat: 35641 . COSPAR: 2009-040A. Apogee: 354 km (219 mi). Perigee: 344 km (213 mi). Inclination: 51.60 deg. Period: 91.50 min. Docked at the Zvezda port of the International Space Station at 11:12 GMT on 29 July. Undocked and was deorbited over the Pacific Ocean on 27 September at 09:33 GMT..
2009 October 15 - . 01:14 GMT - . Launch Site: Baikonur. Launch Complex: Baikonur LC1. LV Family: R-7. Launch Vehicle: Soyuz-U-PVB. Progress M-03M - . Payload: Progress M s/n 403. Mass: 7,200 kg (15,800 lb). Nation: Russia. Agency: RKA. Program: ISS. Class: Manned. Type: Manned logistics spacecraft. Flight: Soyuz TMA-15, Soyuz TMA-16. Spacecraft Bus: Soyuz. Spacecraft: Progress M. Duration: 194.00 days. Decay Date: 2010-05-03 . USAF Sat Cat: 35948 . COSPAR: 2009-056A. Apogee: 348 km (216 mi). Perigee: 314 km (195 mi). Inclination: 51.60 deg. Period: 91.20 min. Docked at the Pirs module of the International Space Station at 01:41 GMT on 18 October..
2010 February 3 - . 03:45 GMT - . Launch Site: Baikonur. Launch Complex: Baikonur LC1. LV Family: R-7. Launch Vehicle: Soyuz-U-PVB. Progress M-04M - . Payload: Progress M s/n 404 / ISS-36P. Mass: 7,400 kg (16,300 lb). Nation: Russia. Agency: RKA. Program: ISS. Class: Manned. Type: Manned logistics spacecraft. Flight: Soyuz TMA-16, Soyuz TMA-17. Spacecraft Bus: Soyuz. Spacecraft: Progress M. Duration: 148.42 days. Decay Date: 2010-07-01 . USAF Sat Cat: 36361 . COSPAR: 2010-003A. Apogee: 353 km (219 mi). Perigee: 346 km (214 mi). Inclination: 51.60 deg. Period: 91.50 min. Undocked from the Zvezda module of the ISS on 10 May 2010. Conducted free-flight experiments until deorbited at 13:54 GMT on 1 July..
2010 April 28 - . 17:15 GMT - . Launch Site: Baikonur. Launch Complex: Baikonur LC1. LV Family: R-7. Launch Vehicle: Soyuz-U-PVB. Progress M-05M - . Payload: Progress M s/n 405 / ISS-37P. Mass: 7,400 kg (16,300 lb). Nation: Russia. Agency: RKA. Program: ISS. Class: Manned. Type: Manned logistics spacecraft. Flight: Soyuz TMA-17, Soyuz TMA-18, Soyuz TMA-18. Spacecraft Bus: Soyuz. Spacecraft: Progress M. Duration: 201.00 days. Decay Date: 2010-11-15 . USAF Sat Cat: 36521 . COSPAR: 2010-018A. Apogee: 361 km (224 mi). Perigee: 350 km (210 mi). Inclination: 51.60 deg. Period: 91.60 min. Undocked from the Pirs module of the ISS on 25 October 2010 at 14:22 GMT and was deorbited over the Pacific on 15 November 2010 after three weeks of independent flight..
2010 June 30 - . 15:35 GMT - . Launch Site: Baikonur. Launch Complex: Baikonur LC1. LV Family: R-7. Launch Vehicle: Soyuz-U-PVB. Progress M-06M - . Payload: Progress M s/n 406 / ISS-38P. Mass: 7,250 kg (15,980 lb). Nation: Russia. Agency: RKA. Program: ISS. Class: Manned. Type: Manned logistics spacecraft. Flight: Soyuz TMA-18, Soyuz TMA-19. Spacecraft Bus: Soyuz. Spacecraft: Progress M. Duration: 67.86 days. Decay Date: 2010-07-14 . USAF Sat Cat: 36748 . COSPAR: 2010-033A. Apogee: 361 km (224 mi). Perigee: 350 km (210 mi). Inclination: 51.60 deg. Period: 91.60 min. First docking attempt with the ISS on 2 July aborted due to radio interference. Successfully docked with the ISS at the Zvezda module on 4 July at 16:17 GMT. Undocked from the Zvezda module of the ISS at 11:21 GMT on 31 August 2010. Conducted experiments in free flight until deorbited at 12:13 GMT on 6 September. 2010 September 10 - . 10:22 GMT - . Launch Site: Baikonur. Launch Complex: Baikonur LC31. LV Family: R-7. Launch Vehicle: Soyuz-U-PVB. Progress M-07M - . Payload: Progress M s/n 407 / ISS-39P. Mass: 7,250 kg (15,980 lb). Nation: Russia. Agency: RKA. Program: ISS. Class: Manned. Type: Manned logistics spacecraft. Flight: Soyuz TMA-18, Soyuz TMA-19. Spacecraft Bus: Soyuz. Spacecraft: Progress M. Duration: 163.00 days. Decay Date: 2011-02-20 . USAF Sat Cat: 37156 . COSPAR: 2010-044A. Apogee: 355 km (220 mi). Perigee: 350 km (210 mi). Inclination: 51.60 deg. Period: 91.60 min. Docked at the Zvezda module of the ISS at 11:58 GMT on 12 September 2010. Undocked from Zvezda on 20 February 2011 at 13:12 GMT and deorbited over the Pacific at 16:12 GMT..
2010 October 27 - . 15:11 GMT - . Launch Site: Baikonur. Launch Complex: Baikonur LC1. LV Family: R-7. Launch Vehicle: Soyuz-U-PVB. Progress M-08M - . Payload: Progress M s/n 408 / ISS-40P. Mass: 7,250 kg (15,980 lb). Nation: Russia. Agency: RKA. Program: ISS. Class: Manned. Type: Manned logistics spacecraft. Flight: Soyuz TMA-01M, Soyuz TMA-19. Spacecraft Bus: Soyuz. Spacecraft: Progress M. Duration: 88.59 days. Decay Date: 2011-01-24 . USAF Sat Cat: 37196 . COSPAR: 2010-055A. Apogee: 355 km (220 mi). Perigee: 352 km (218 mi). Inclination: 51.60 deg. Period: 91.60 min. Undocked from the Pirs module of the ISS at 00:42 GMT on 24 January 2011 and deorbited over the Pacific at 05:16 GMT the same day..
2011 January 28 - . 01:31 GMT - . Launch Site: Baikonur. Launch Complex: Baikonur LC1. LV Family: R-7. Launch Vehicle: Soyuz-U-PVB. Progress M-09M - . Payload: Progress M s/n 409 / ISS-41P. Mass: 7,250 kg (15,980 lb). Nation: Russia. Agency: RKA. Program: ISS. Class: Manned. Type: Manned logistics spacecraft. Flight: Soyuz TMA-01M, Soyuz TMA-20. Spacecraft Bus: Soyuz. Spacecraft: Progress M. Duration: 88.00 days. Decay Date: 2011-04-26 . USAF Sat Cat: 37359 . COSPAR: 2011-004A. Apogee: 345 km (214 mi). Perigee: 270 km (160 mi). Inclination: 51.60 deg. Period: 90.70 min. Undocked from the Pirs module of the ISS on 22 April at 11:41 GMT and deorbited over the Pacific on 26 April..
2011 April 27 - . 13:05 GMT - . Launch Site: Baikonur. Launch Complex: Baikonur LC1. LV Family: R-7. Launch Vehicle: Soyuz-U-PVB. Progress M-10M - . Payload: Progress M s/n 410 / ISS-42P. Mass: 7,250 kg (15,980 lb). Nation: Russia. Agency: RKA. Program: ISS. Class: Manned. Type: Manned logistics spacecraft. Flight: Soyuz TMA-20, Soyuz TMA-21. Spacecraft Bus: Soyuz. Spacecraft: Progress M. Duration: 185.00 days. Decay Date: 2011-10-29 . USAF Sat Cat: 37396 . COSPAR: 2011-017A. Apogee: 347 km (215 mi). Perigee: 343 km (213 mi). Inclination: 51.60 deg. Period: 91.40 min. Docked with the ISS Pirs module at 14:28 GMT on 29 April. Undocked at 09:04 GMT on 29 October. Following retrofire at 12:10 GMT it was destroyed on reentry over the Pacific at 12:48 GMT..
2011 June 21 - . 14:38 GMT - . Launch Site: Baikonur. Launch Complex: Baikonur LC1. LV Family: R-7. Launch Vehicle: Soyuz-U-PVB. Progress M-11M - . Payload: Progress M s/n 411 / ISS-43P. Mass: 7,250 kg (15,980 lb). Nation: Russia. Agency: RKA. Program: ISS. Class: Manned. Type: Manned logistics spacecraft. Flight: Soyuz TMA-02M, Soyuz TMA-21. Spacecraft Bus: Soyuz. Spacecraft: Progress M. Duration: 71.79 days. Decay Date: 2011-09-01 . USAF Sat Cat: 37679 . COSPAR: 2011-027A. Apogee: 383 km (237 mi). Perigee: 343 km (213 mi). Inclination: 51.60 deg. Period: 91.80 min. ISS resupply. Also carried the 40 kg Chibis satellite. Docked with the Zvezda module of the ISS on 23 June at 16:37 GMT. Undocked from Zvezda at 09:38 GMT on 23 August. After several maneuvers to carry out the Radar-4 experiment, deorbited over the Pacific at 09:34 GMT on 1 September. 2011 August 24 - . 13:00 GMT - . Launch Site: Baikonur. Launch Complex: Baikonur LC1. LV Family: R-7. Launch Vehicle: Soyuz-U-PVB. FAILURE: Five minutes and 25 seconds into flight, during the burn of the booster's third stage, the engine's gas generator failed and the engine shut down. The upper stage and spacecraft crashed in the Gorno-Altai region.. Failed Stage: 3. Progress M-12M - . Payload: Progress M s/n 412 / ISS-44P. Mass: 7,250 kg (15,980 lb). Nation: Russia. Agency: RKA. Program: ISS. Class: Manned. Type: Manned logistics spacecraft. Flight: Soyuz TMA-02M, Soyuz TMA-21. Spacecraft Bus: Soyuz. Spacecraft: Progress M.
ISS resupply mission. The Progress M failed to reach orbit. Five minutes and 25 seconds into flight, during the burn of the booster's third stage, the engine's gas generator failed and the engine shut down. 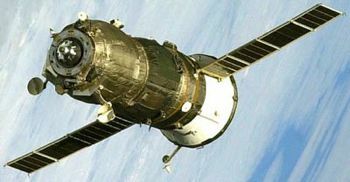 The upper stage and spacecraft crashed in the Gorno-Altai region of Russia. First ever failure of a Progress spacecraft to dock with a space station in its 135-mission history. The six crew aboard the ISS had sufficient supplies, but the mishap delayed the launch of the Expedition 29 replacement crew until the cause of the failure was understood and the Soyuz launch vehicle cleared again for manned launches. The return to Earth of the first half of the Expedition 28 crew has also delayed to mid-September, meaning the station would be reduced to a three-person crew for a time. 2011 October 30 - . 10:11 GMT - . Launch Site: Baikonur. Launch Complex: Baikonur LC1. LV Family: R-7. Launch Vehicle: Soyuz-U-PVB. Progress M-13M - . Payload: Progress M s/n 413 / ISS-45P. Mass: 7,250 kg (15,980 lb). Nation: Russia. Agency: RKA. Program: ISS. Class: Manned. Type: Manned logistics spacecraft. Flight: Soyuz TMA-02M. Spacecraft Bus: Soyuz. Spacecraft: Progress M. Duration: 87.00 days. Decay Date: 2012-01-25 . USAF Sat Cat: 37857 . COSPAR: 2011-062A. Apogee: 403 km (250 mi). Perigee: 374 km (232 mi). Inclination: 51.60 deg. Period: 92.30 min. Space station resupply. Docked with the Pirs module of the ISS on 2 November. This restored resupply of the station after the Progress M-12M launch failure and two intermediate successful flights of the Soyuz booster. Also carried the Chibis-M subsatellite. 2012 January 25 - . 23:06 GMT - . Launch Site: Baikonur. Launch Complex: Baikonur LC1. LV Family: R-7. Launch Vehicle: Soyuz-U-PVB. Progress M-14M - . Payload: Progress M s/n 414 / ISS-46P. Mass: 7,250 kg (15,980 lb). Nation: Russia. Agency: RKA. Program: ISS. Class: Manned. Type: Manned logistics spacecraft. Spacecraft Bus: Soyuz. Spacecraft: Progress M. Duration: 94.00 days. Decay Date: 2012-04-28 . USAF Sat Cat: 38073 . COSPAR: 2012-004A. Apogee: 405 km (251 mi). Perigee: 375 km (233 mi). Inclination: 51.60 deg. Period: 92.40 min. Docked with the International Space Station at the Pirs module on 28 January at 00:09 GMT. Undocked on 19 April 11:04 GMT to begin nine days of autonomous Radar-Progress ionospheric experiments. Deorbited over the Pacific Ocean on 28 April..
2012 April 20 - . 12:50 GMT - . Launch Site: Baikonur. Launch Complex: Baikonur LC31. LV Family: R-7. Launch Vehicle: Soyuz-U-PVB. Progress M-15M - . Payload: Progress M s/n 415 / ISS-47P. Mass: 7,250 kg (15,980 lb). Nation: Russia. Agency: RKA. Program: ISS. Class: Manned. Type: Manned logistics spacecraft. Spacecraft Bus: Soyuz. Spacecraft: Progress M. Duration: 122.00 days. Decay Date: 2012-08-20 . USAF Sat Cat: 38222 . COSPAR: 2012-015A. Apogee: 406 km (252 mi). Perigee: 392 km (243 mi). Inclination: 51.60 deg. Period: 92.50 min. Docked at the Pirs module of the International Space Station on 22 April at 14:39 GMT. Undocked and after three weeks of independent flight involving Radar-Progress experiments using thruster burns to study the ionosphere, was deorbited over the Pacific on 20 August. 2012 August 1 - . 19:35 GMT - . Launch Site: Baikonur. Launch Complex: Baikonur LC1. LV Family: R-7. Launch Vehicle: Soyuz-U-PVB. Progress M-16M - . Payload: Progress M s/n 416 / ISS-48P. Mass: 7,250 kg (15,980 lb). Nation: Russia. Agency: RKA. Program: ISS. Class: Manned. Type: Manned logistics spacecraft. Spacecraft Bus: Soyuz. Spacecraft: Progress M. Duration: 192.00 days. Decay Date: 2013-02-09 . USAF Sat Cat: 38738 . COSPAR: 2012-042A. Apogee: 428 km (265 mi). Perigee: 403 km (250 mi). Inclination: 51.60 deg. Period: 92.90 min. Undocked from the Pirs module at 13:16 GMT on 9 February. Deorbited over the Pacific Ocean at 16:19 GMT with debris impact at 17:05 GMT..
2012 October 31 - . 07:41 GMT - . Launch Site: Baikonur. Launch Complex: Baikonur LC1. LV Family: R-7. Launch Vehicle: Soyuz-U-PVB. Progress M-17M - . Payload: Progress M s/n 417 / ISS-49P. Mass: 7,250 kg (15,980 lb). Nation: Russia. Agency: RKA. Program: ISS. Class: Manned. Type: Manned logistics spacecraft. Spacecraft Bus: Soyuz. Spacecraft: Progress M. Duration: 172.00 days. Decay Date: 2013-04-21 . USAF Sat Cat: 38975 . COSPAR: 2012-060A. Apogee: 422 km (262 mi). Perigee: 401 km (249 mi). Inclination: 51.60 deg. Period: 92.80 min. Docked with the Zvezda module of the ISS after a quick-rendezvous 5 hour 52 min flight. Undocked from Zvezda at 12:02 GMT on 15 April for independent flight to conduct Radar-Progress ionospheric tests. Retrofire on 21 April on 14:07 GMT lasted 173 seconds, producing a delta-V of 90 m/s. Impacted in the Pacific at 15:02 GMT. 2013 February 11 - . 14:41 GMT - . Launch Site: Baikonur. Launch Complex: Baikonur LC1. LV Family: R-7. Launch Vehicle: Soyuz-U. Progress M-18M - . Payload: Progress M s/n 418 / ISS-50P. Mass: 7,250 kg (15,980 lb). Nation: Russia. Agency: RKA. Program: ISS. Class: Manned. Type: Manned logistics spacecraft. Spacecraft Bus: Soyuz. Spacecraft: Progress M. Duration: 165.00 days. Decay Date: 2013-07-26 . USAF Sat Cat: 39082 . COSPAR: 2013-007A. Apogee: 421 km (261 mi). Perigee: 409 km (254 mi). Inclination: 51.65 deg. Period: 92.88 min. Docked with the Pirs module of the ISS at 20:34 GMT on launch day. Undocked from the Pirs module at 20:53 GMT on July 25 and was deorbited over the South Pacific three hours later, with debris ocean impact around 00:42 GMT July 26..
2013 April 24 - . 10:12 GMT - . Launch Site: Baikonur. Launch Complex: Baikonur LC1. LV Family: R-7. Launch Vehicle: Soyuz-U. Progress M-19M - . Payload: Progress M s/n 419 / ISS-51P. Mass: 7,250 kg (15,980 lb). Nation: Russia. Agency: RKA. Program: ISS. Class: Manned. Type: Manned logistics spacecraft. Spacecraft Bus: Soyuz. Spacecraft: Progress M. Duration: 56.00 days. Decay Date: 2013-06-19 . USAF Sat Cat: 39148 . COSPAR: 2013-017A. Apogee: 418 km (259 mi). Perigee: 360 km (220 mi). Inclination: 51.65 deg. Period: 92.34 min. Although one of the spacecraft's rendezvous antennae did not deploy, it docked successfully with the aft port of the ISS Zvezda module at 12:25 GMT on 26 April. Undocked from the Zvezda module at 13:58 GMT on 11 June to clear the port for the ATV resupply vehicle. Maneuvered to a 416 km x 456 km orbit for Radar-Progress ionospheric experiments. 2013 July 27 - . 20:45 GMT - . Launch Site: Baikonur. Launch Complex: Baikonur LC31. LV Family: R-7. Launch Vehicle: Soyuz-U. Progress M-20M - . Payload: Progress M s/n 420 / ISS-52P. Mass: 7,250 kg (15,980 lb). Nation: Russia. Agency: RKA. Program: ISS. Class: Manned. Type: Manned logistics spacecraft. Spacecraft Bus: Soyuz. Spacecraft: Progress M. Duration: 199.00 days. Decay Date: 2014-02-11 . USAF Sat Cat: 39219 . COSPAR: 2013-039A. Apogee: 414 km (257 mi). Perigee: 361 km (224 mi). Inclination: 51.65 deg. Period: 92.30 min. Docked with the Pirs module of the ISS 5 hr 41 min after launch. Payload delivered to the station included a 1U cubesat, Chasqui 1 from Peru's Universidad Nacional de Ingenieria. Undocked from the Pirs module of the ISS at 16:21 GMT on 3 February 2014. Deorbited on February 11 following a week of independent operations, with impact in the South Pacifc at 15:55 GMT. 2013 November 25 - . 20:53 GMT - . Launch Site: Baikonur. Launch Complex: Baikonur LC31. LV Family: R-7. Launch Vehicle: Soyuz-U. Progress M-21M - . Payload: Progress M s/n 421 / ISS-53P. Mass: 7,250 kg (15,980 lb). Nation: Russia. Agency: RKA. Program: ISS. Class: Manned. Type: Manned logistics spacecraft. Spacecraft Bus: Soyuz. Spacecraft: Progress M. Duration: 196.00 days. Decay Date: 2014-06-09 . USAF Sat Cat: 39456 . COSPAR: 2013-069A. Apogee: 418 km (259 mi). Perigee: 412 km (256 mi). Inclination: 51.65 deg. Period: 92.87 min. It made a 1.5 km flyby of ISS at 21:50 GMT on November 27 to test the new Kurs-NA rendezvous system, and then a re-rendezvous on November 29. A glitch forced a switch to manual TORU control for the last 60 m to docking with the Zvezda module at 22:30 GMT. Undocked from Zvezda on June 9 at 13:30 GMT and was deorbited the same day, with debris falling in the South Pacific around 17:23 GMT. 2014 February 5 - . 16:23 GMT - . Launch Site: Baikonur. Launch Complex: Baikonur LC1. LV Family: R-7. Launch Vehicle: Soyuz-U. Progress M-22M - . Payload: Progress M s/n 422 / ISS-54P. Mass: 7,250 kg (15,980 lb). Nation: Russia. Agency: RKA. Program: ISS. Class: Manned. Type: Manned logistics spacecraft. Spacecraft Bus: Soyuz. Spacecraft: Progress M. Duration: 72.00 days. Decay Date: 2014-04-18 . USAF Sat Cat: 39506 . COSPAR: 2014-005A. Apogee: 418 km (259 mi). Perigee: 361 km (224 mi). Inclination: 51.65 deg. Period: 92.34 min. ISS mission 54P; docked at the Pirs module of the ISS at 22:22 GMT the same day as launch. Undocked from the Pirs module at 13:58 GMT April 7; it remained in a 360 x 417 km orbit for Radar-Progress ionospheric studies until April 18, when it was deorbited over the Pacific. 2014 April 9 - . 15:26 GMT - . Launch Site: Baikonur. Launch Complex: Baikonur LC1. LV Family: R-7. Launch Vehicle: Soyuz-U. Progress M-23M - . Payload: Progress M s/n 427 / ISS-55P. Mass: 7,250 kg (15,980 lb). Nation: Russia. Agency: RKA. Program: ISS. Class: Manned. Type: Manned logistics spacecraft. Spacecraft Bus: Soyuz. Spacecraft: Progress M. Duration: 113.00 days. Decay Date: 2014-07-31 . USAF Sat Cat: 39648 . COSPAR: 2014-018A. Apogee: 417 km (259 mi). Perigee: 412 km (256 mi). Inclination: 51.65 deg. Period: 92.85 min. Docked with the Pirs module of the ISS at 21:14 GMT the same day as launch. Undocked from at 21:44 GMT on July 21 and then carried out 10 days of independent operations as part of the Radar-Progress experiment program. Deorbited on July 31 with impact at 22:43 GMT in the South Pacific. 2014 July 23 - . 21:44 GMT - . Launch Site: Baikonur. Launch Complex: Baikonur LC1. LV Family: R-7. Launch Vehicle: Soyuz-U. Progress M-24M - . Payload: Progress M s/n 423 / ISS-56P. Mass: 7,250 kg (15,980 lb). Nation: Russia. Agency: RKA. Program: ISS. Class: Manned. Type: Manned logistics spacecraft. Spacecraft Bus: Soyuz. Spacecraft: Progress M. Duration: 120.00 days. Decay Date: 2014-11-20 . USAF Sat Cat: 40097 . COSPAR: 2014-042A. Apogee: 419 km (260 mi). Perigee: 413 km (256 mi). Inclination: 51.65 deg. Period: 92.89 min. Docked with the Pirs module of the ISS at 03:31 GMT on July 24. Undocked from Pirs at 05:38 GMT on October 27..
2014 October 29 - . 07:09 GMT - . Launch Site: Baikonur. Launch Complex: Baikonur LC31. LV Family: R-7. Launch Vehicle: Soyuz-2-1a. Progress M-25M - . Payload: Progress M s/n 424 / ISS-57P. Mass: 7,250 kg (15,980 lb). Nation: Russia. Agency: RKA. Program: ISS. Class: Manned. Type: Manned logistics spacecraft. Spacecraft Bus: Soyuz. Spacecraft: Progress M. Duration: 179.00 days. Decay Date: 2015-04-26 . USAF Sat Cat: 40292 . COSPAR: 2014-067A. Apogee: 403 km (250 mi). Perigee: 396 km (246 mi). Inclination: 51.64 deg. Period: 92.56 min. Docked with the ISS Pirs module at 13:08 GMT 29 October. Undocked from the Pirs module at 06:41 GMT on April 25 and was deorbited on April 26, with debris falling in the South Pacific at 13:00 GMT..
2015 February 17 - . 11:00 GMT - . Launch Site: Baikonur. Launch Complex: Baikonur LC1. LV Family: R-7. Launch Vehicle: Soyuz-U. Progress M-26M - . Payload: Progress M s/n 426 / ISS-58P. Mass: 7,250 kg (15,980 lb). Nation: Russia. Agency: RKA. Program: ISS. Class: Manned. Type: Manned logistics spacecraft. Spacecraft Bus: Soyuz. Spacecraft: Progress M. Decay Date: 2015-08-14 . USAF Sat Cat: 40392 . COSPAR: 2015-008A. Apogee: 237 km (147 mi). Perigee: 186 km (115 mi). Inclination: 51.60 deg. Docked with the ISS Zvezda module at 16:57 GMT the same day as launched. Progress M-26M's engines were used to move the ISS out of the path of some space debris on 23 April and (following a malfunction on May 16) made an ISS orbit reboost on 18 May 18. Progress M-26M undocked 14 August at 10:19 GMT; was deorbited at 13:28 GMT; and impacted the Pacific around 141:7 GMT. 2015 April 28 - . 07:09 GMT - . Launch Site: Baikonur. Launch Complex: Baikonur LC31. LV Family: R-7. Launch Vehicle: Soyuz-2-1a. FAILURE: The third stage did not shut down correctly and damaged the spacecraft during separation.. Failed Stage: 3. Progress M-27M - . Payload: Progress M s/n 425 / ISS-59P. Mass: 7,250 kg (15,980 lb). Nation: Russia. Agency: RKA. Program: ISS. Class: Manned. Type: Manned logistics spacecraft. Spacecraft Bus: Soyuz. Spacecraft: Progress M. Duration: 10.00 days. Decay Date: 2015-05-08 . USAF Sat Cat: 40619 . COSPAR: 2015-024A. Apogee: 258 km (160 mi). Perigee: 186 km (115 mi). Inclination: 51.60 deg. Limited telemetry was obtained from the Progress, but Russian mission control was unable to control the damaged, spinning spacecraft. The Progress reentered over the South Pacific off the southwest coast of Chile at 02:20 GMT on May 8..
2015 July 3 - . 14:21 GMT - . Launch Site: Baikonur. Launch Complex: Baikonur LC1. LV Family: R-7. Launch Vehicle: Soyuz-U. Progress M-28M - . Payload: Progress M s/n 428 / ISS-60P. Mass: 7,250 kg (15,980 lb). Nation: Russia. Agency: RKA. Program: ISS. Class: Manned. Type: Manned logistics spacecraft. Spacecraft Bus: Soyuz. Spacecraft: Progress M. Decay Date: 2015-12-19 . USAF Sat Cat: 40713 . COSPAR: 2015-031A. Apogee: 290 km (180 mi). Perigee: 262 km (162 mi). Inclination: 51.63 deg. Period: 90.03 min. Carried critical supplies to the ISS after consecutive failures of all three primary resupply spacecraft to reach orbit� a prior Progress, a Cygnus, and a Dragon. Docking was at the Pirs module of the ISS on 5 July at 07:11 GMT. This launch used the older Soyuz-U rocket instead of the newer Soyuz-2-1a which ran into problems on the Progress M-27M launch. Undocked from Pirs at 0735 UTC Dec 19 and was deorbited over the South Pacific, with debris impact at 1128 UTC. 2015 October 1 - . 16:49 GMT - . Launch Site: Baikonur. Launch Complex: Baikonur LC1. LV Family: R-7. Launch Vehicle: Soyuz-U. Progress M-29M - . Mass: 7,283 kg (16,056 lb). Nation: Russia. Agency: RKA. Program: ISS. Class: Manned. Type: Manned logistics spacecraft. 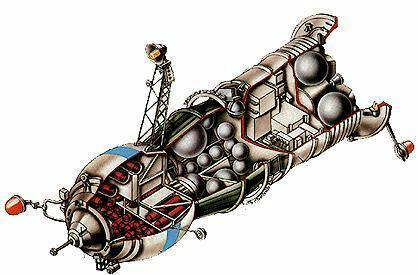 Spacecraft Bus: Soyuz. Spacecraft: Progress M. Decay Date: 2016-04-08 . USAF Sat Cat: 40944 . COSPAR: 2015-055A. Apogee: 406 km (252 mi). Perigee: 398 km (247 mi). Inclination: 51.65 deg. Period: 92.60 min. Docked with the ISS Zvezda module at 22:52 GMT on 1 October. The spacecraft delivered a variety of supplies and maintenance equipment to the station. Progress M-29M undocked from the Zvezda module on Mar 30 at 1415 UTC and performed attitude control experiments in a 373 x 401 km orbit. Progress M-29M was deorbited on Apr 8, reentered around 1416 UTC over the S Pacific.